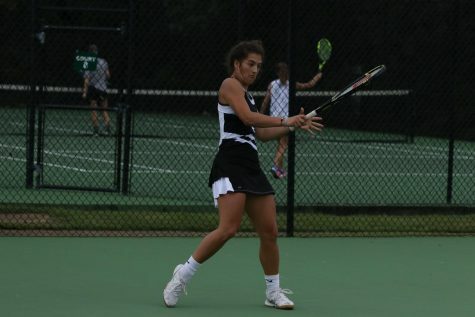 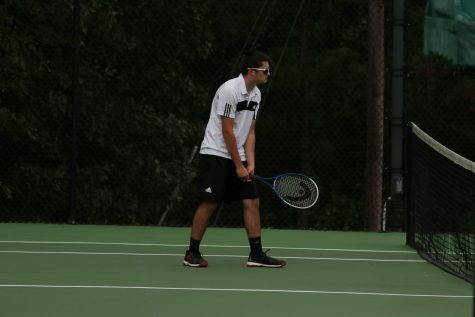 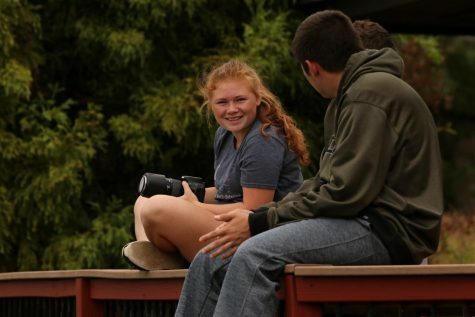 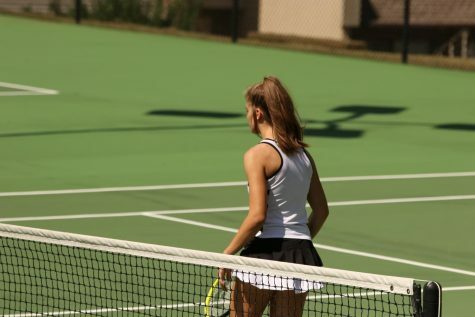 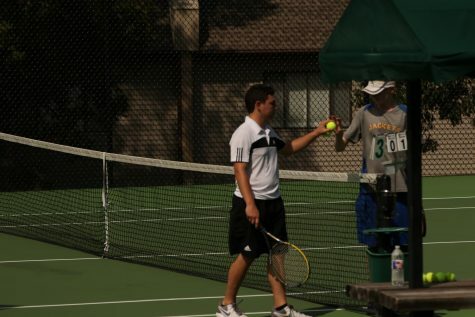 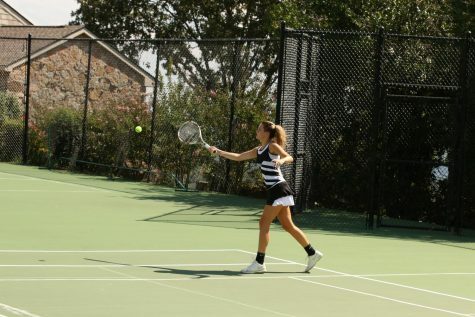 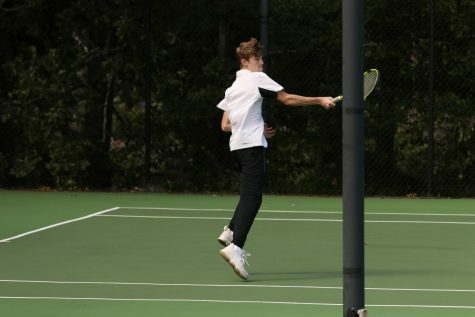 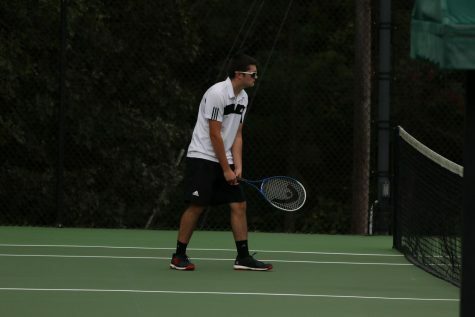 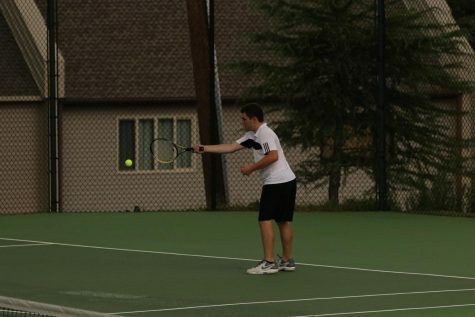 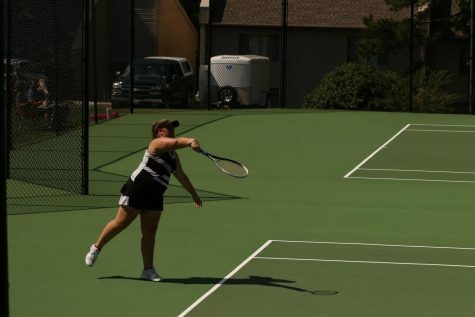 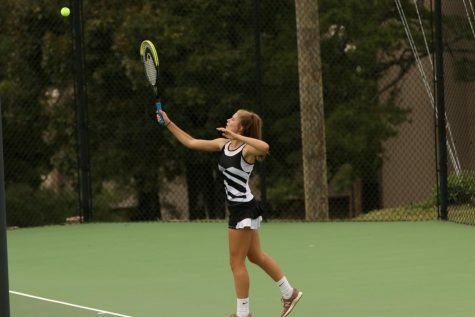 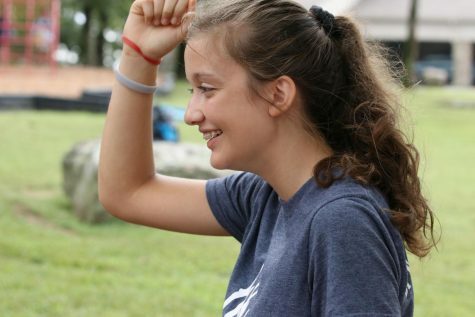 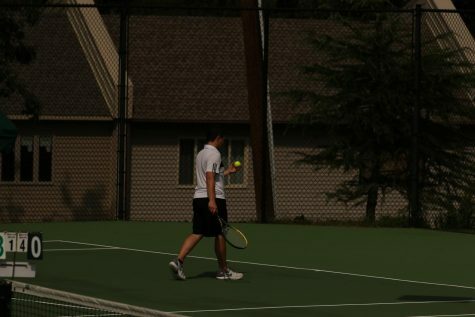 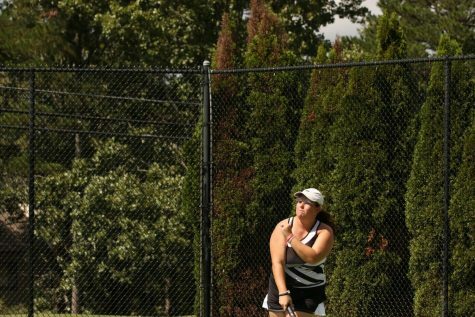 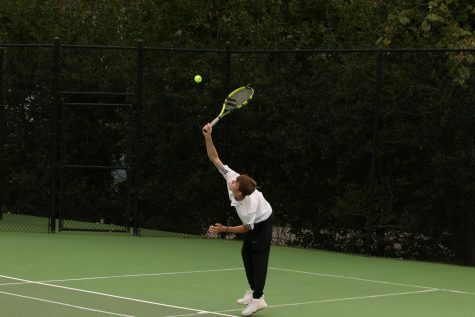 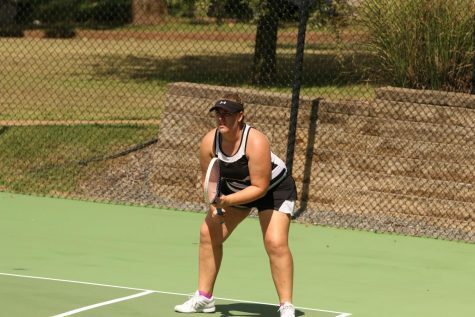 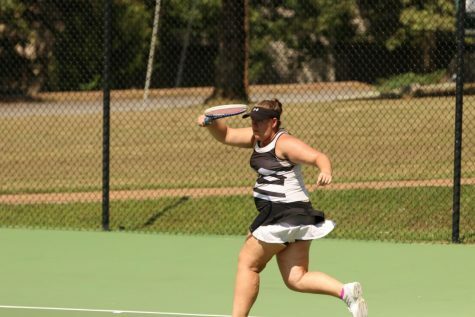 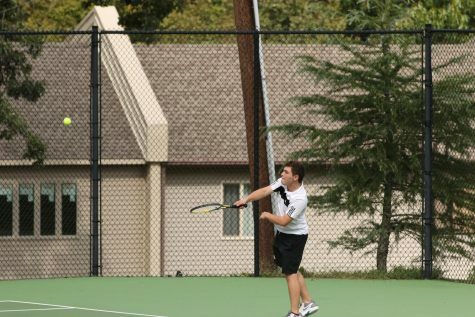 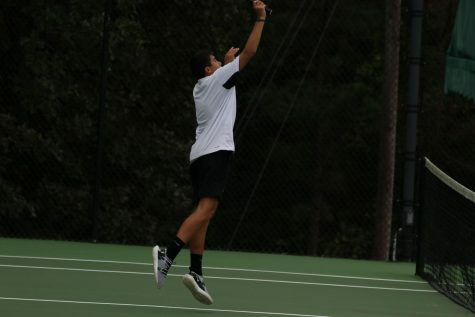 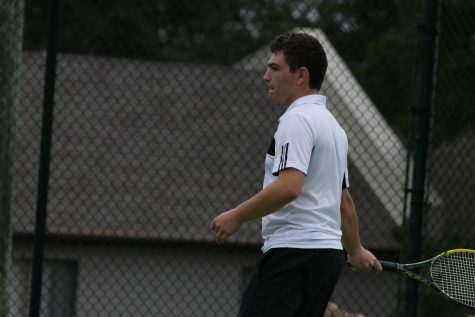 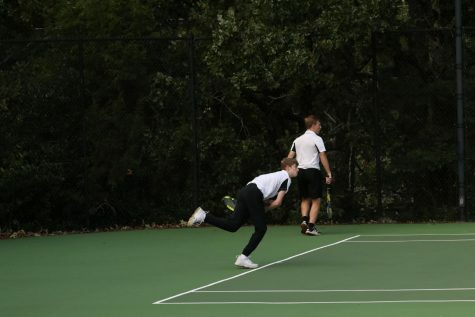 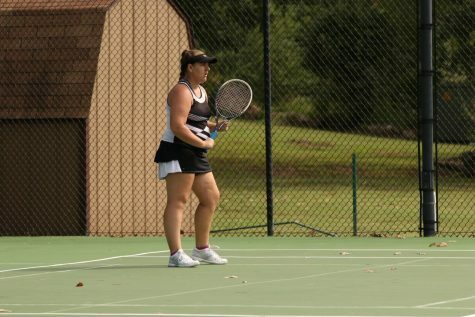 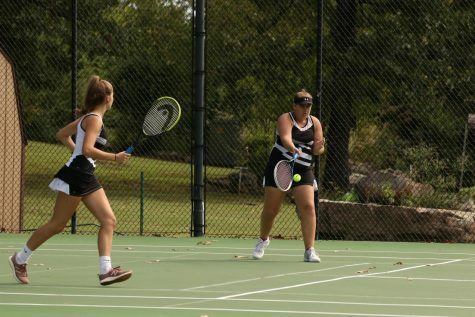 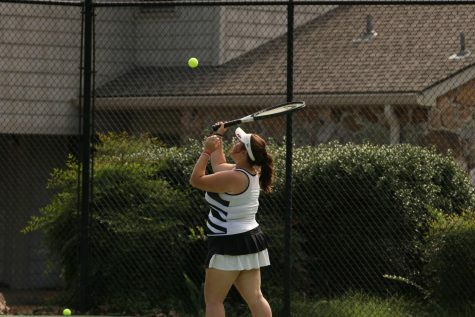 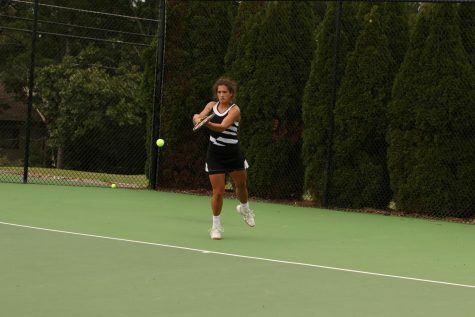 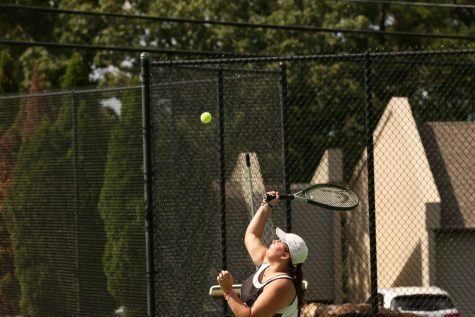 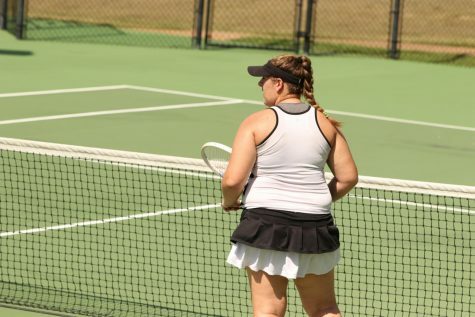 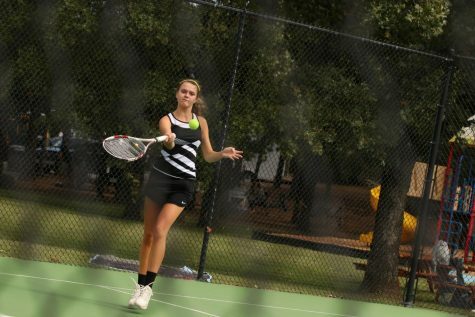 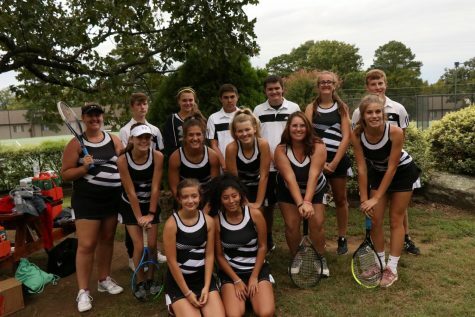 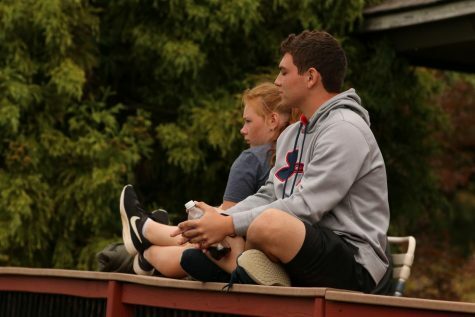 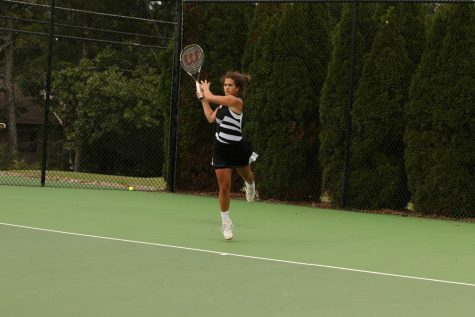 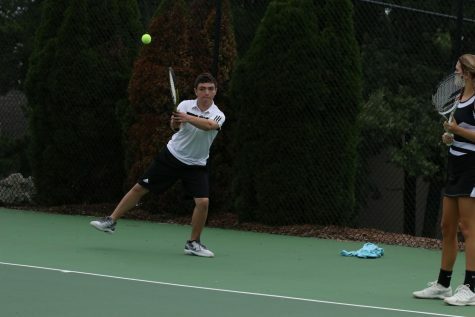 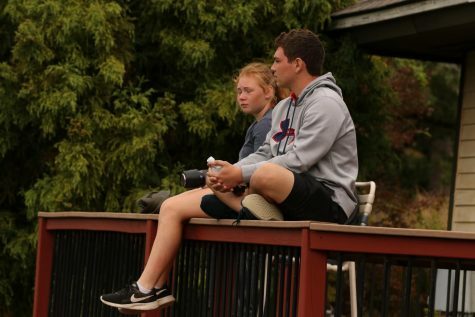 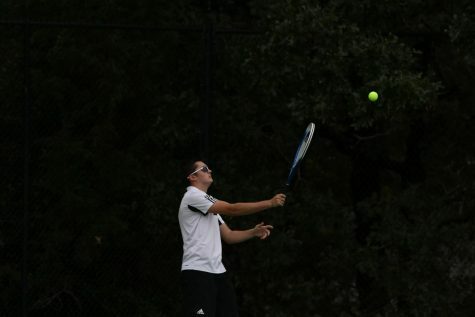 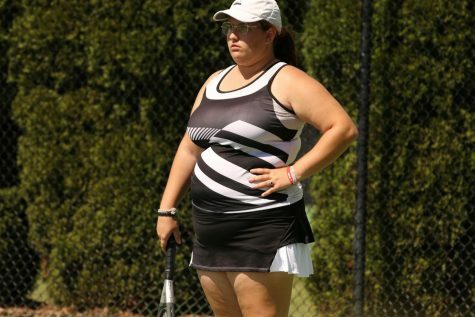 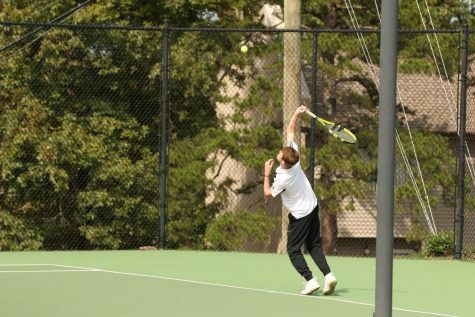 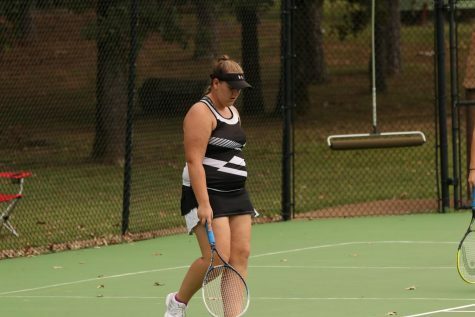 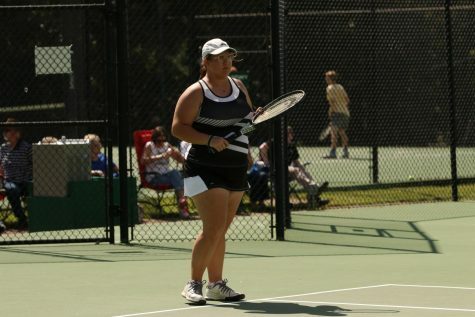 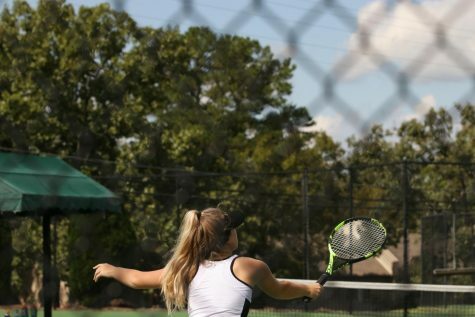 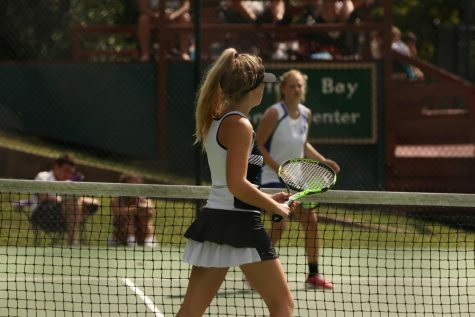 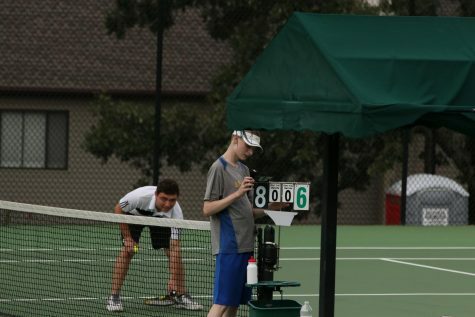 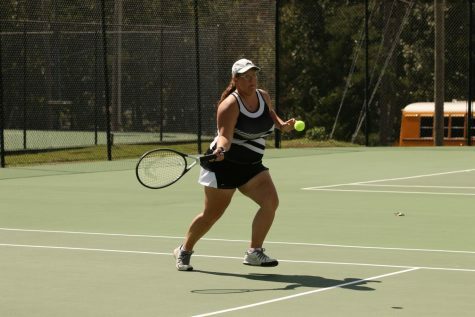 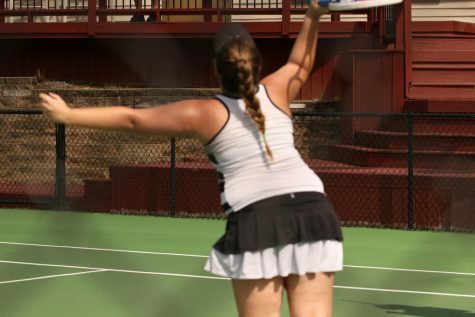 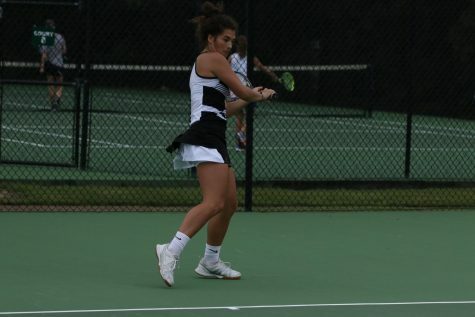 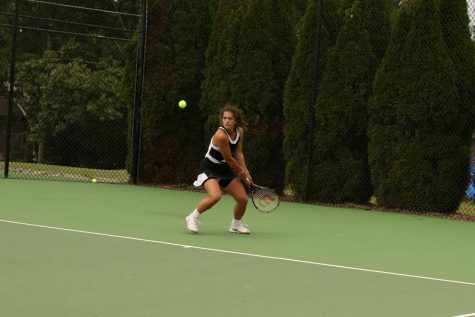 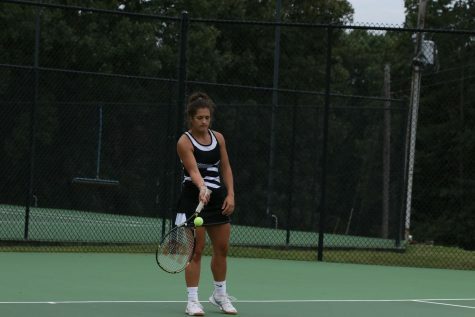 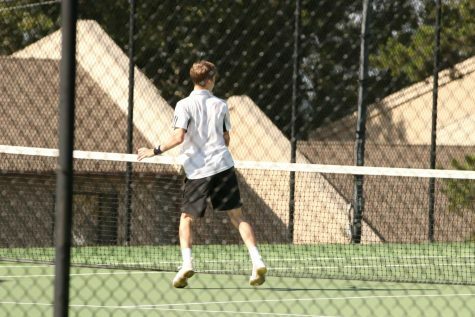 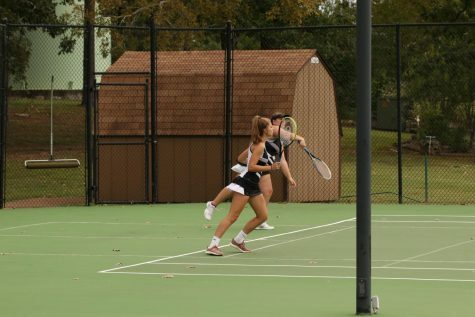 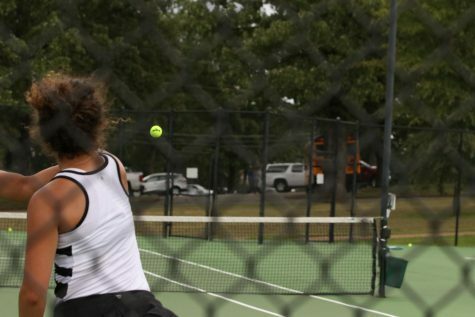 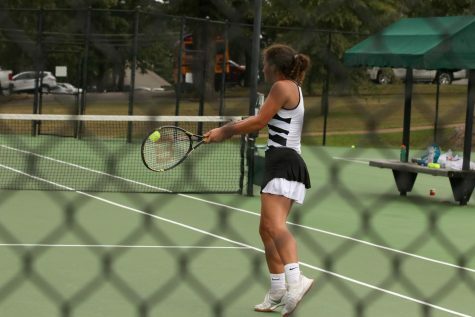 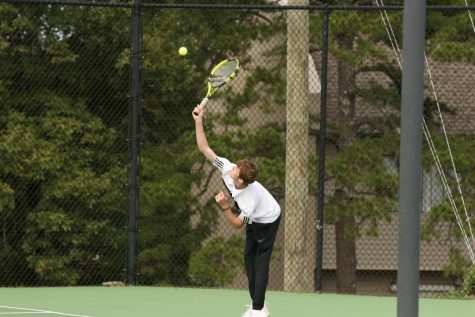 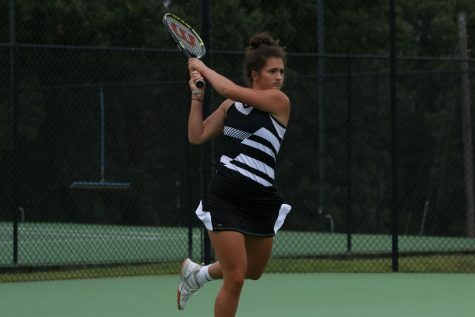 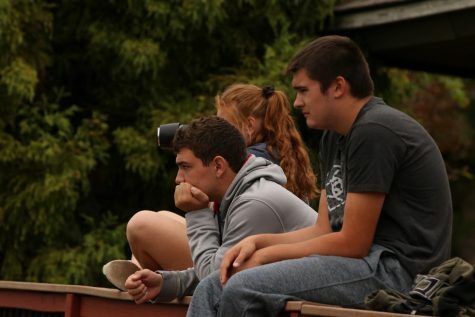 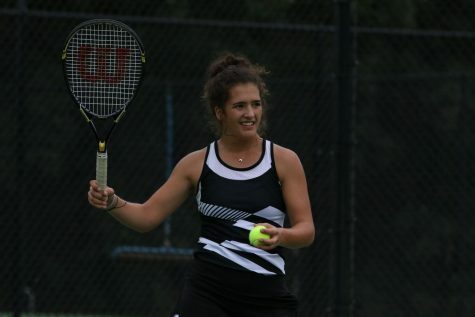 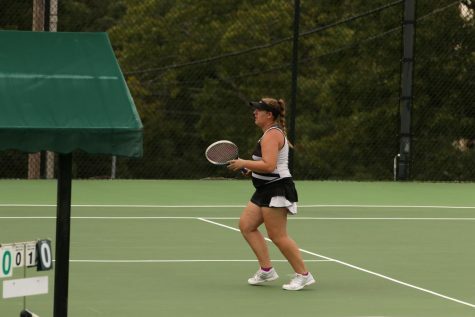 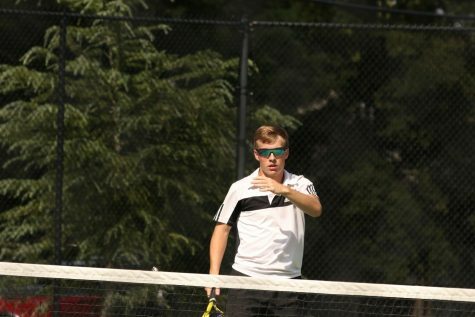 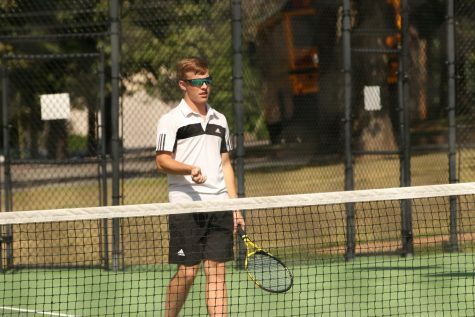 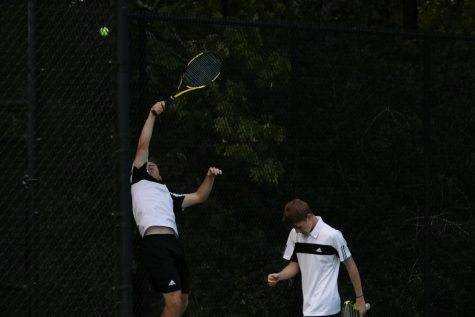 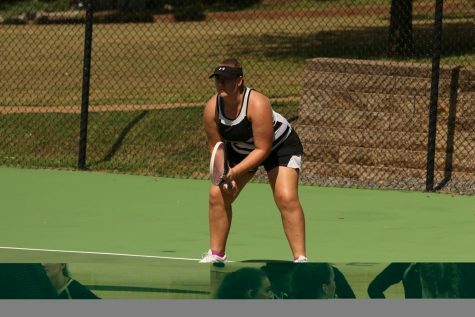 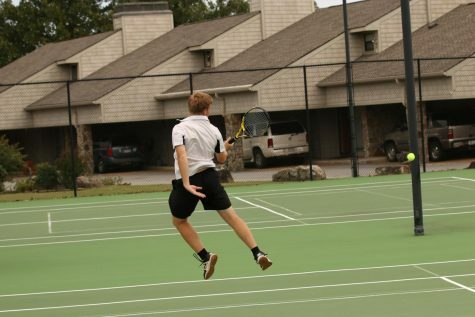 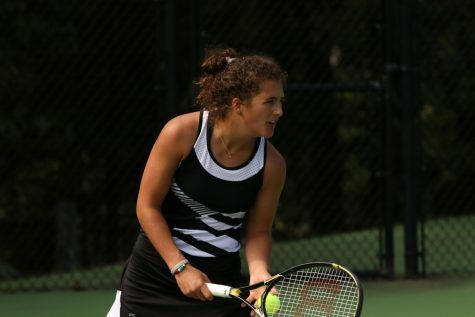 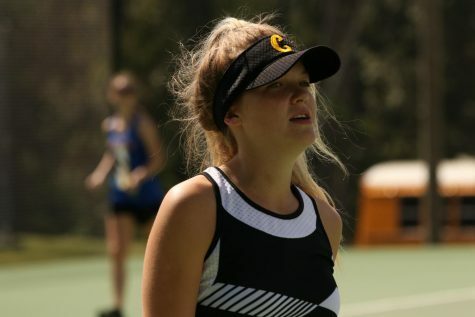 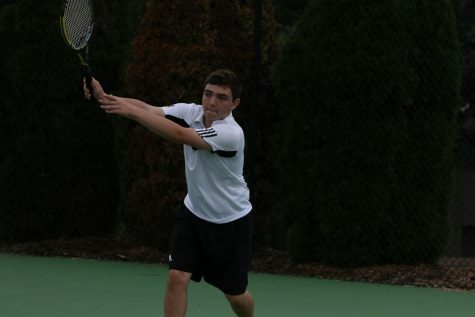 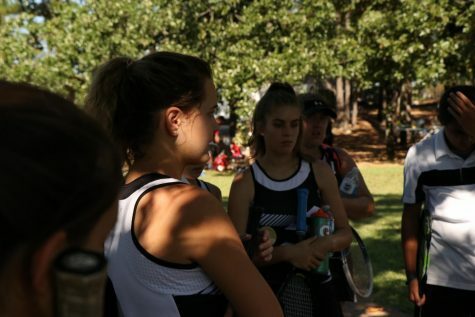 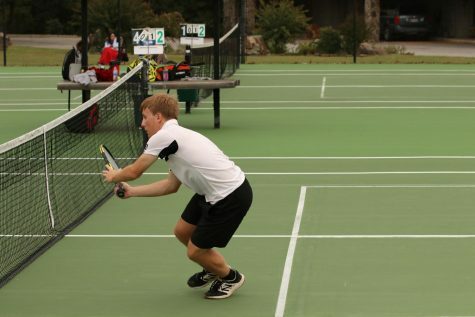 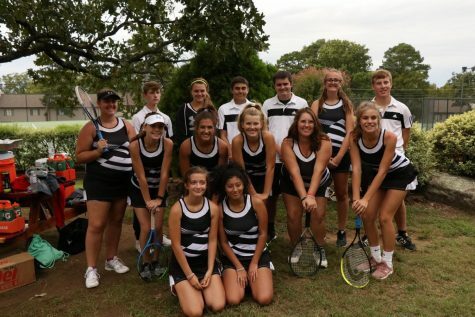 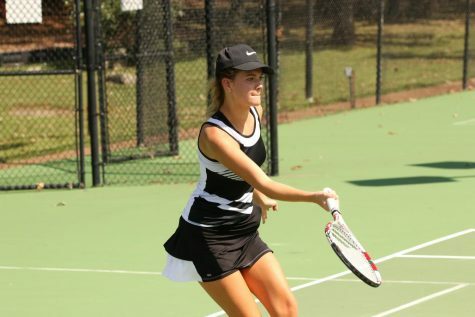 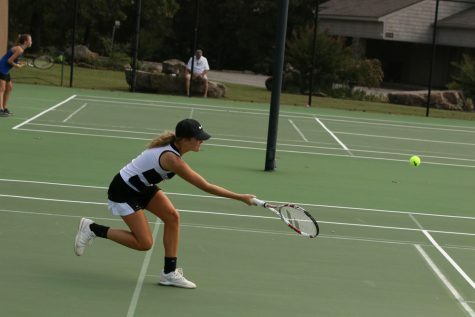 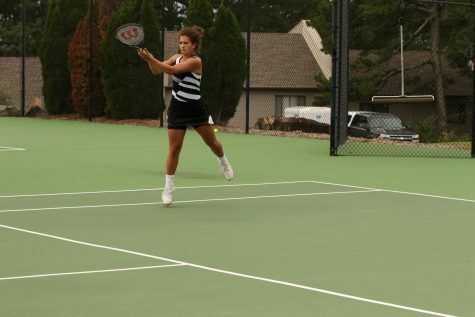 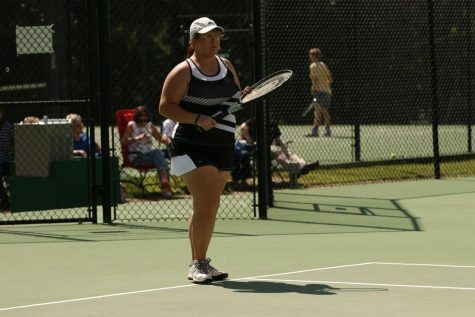 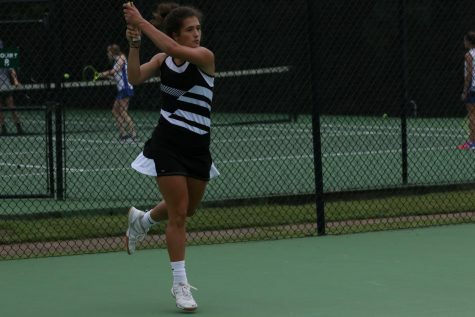 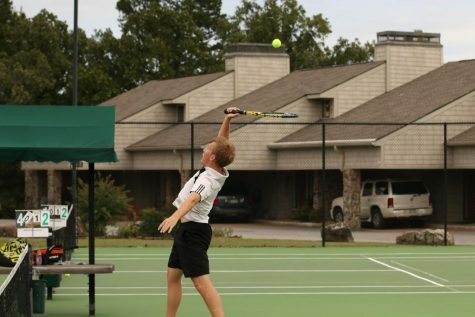 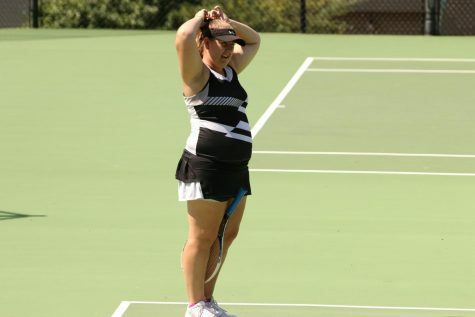 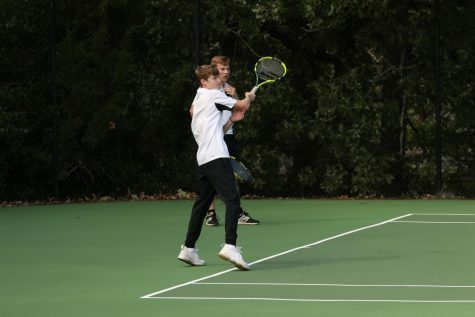 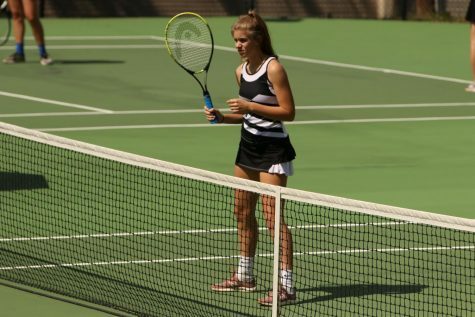 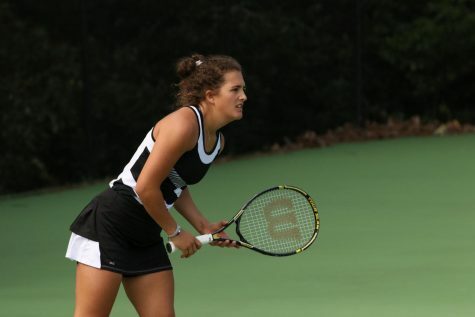 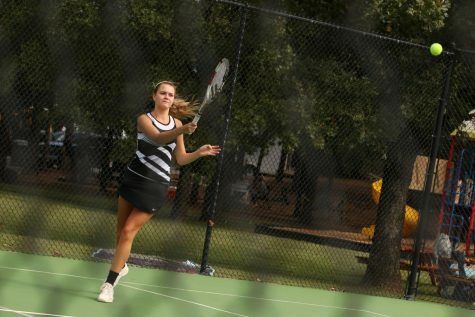 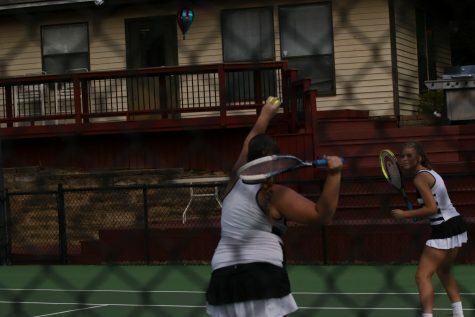 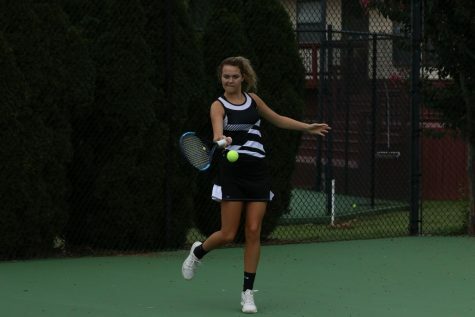 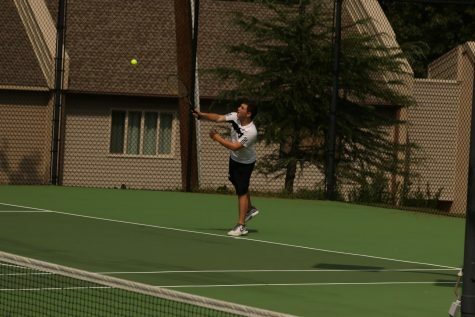 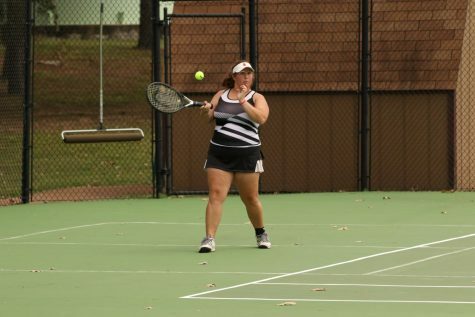 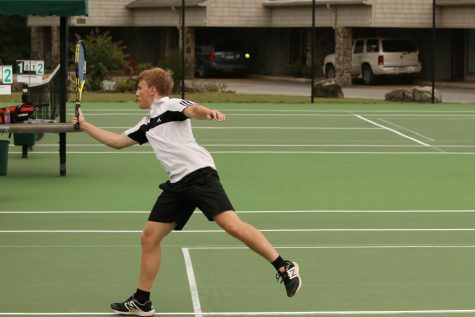 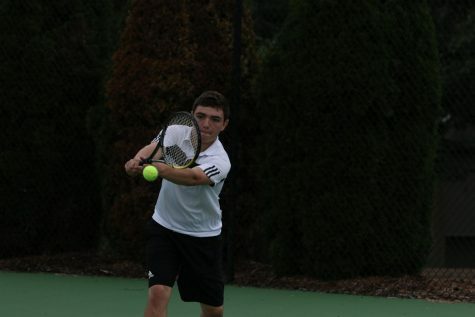 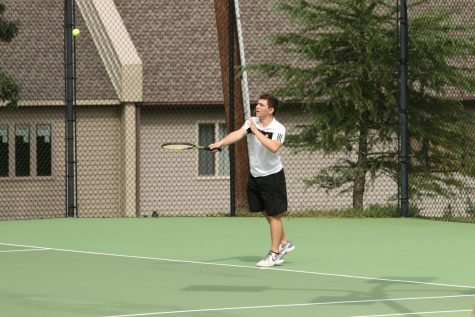 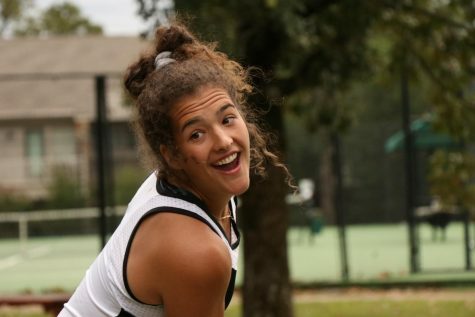 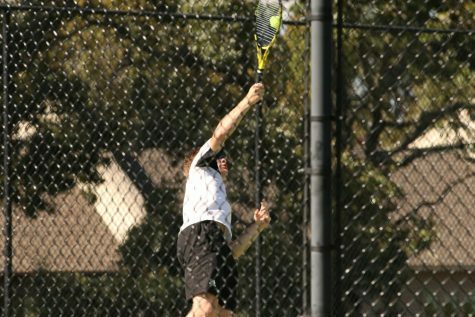 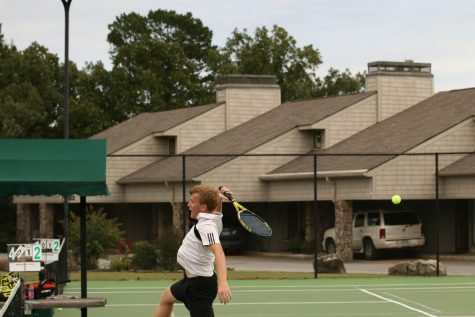 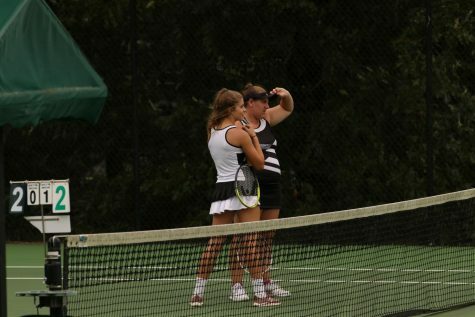 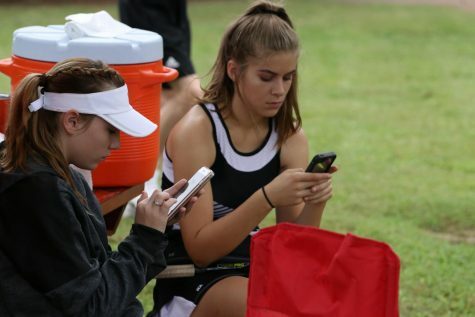 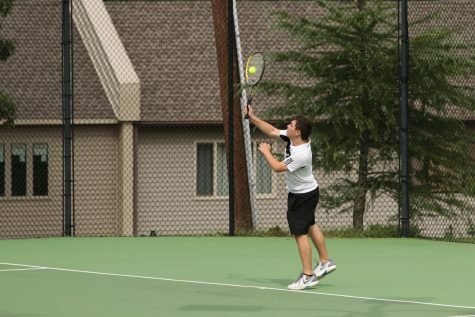 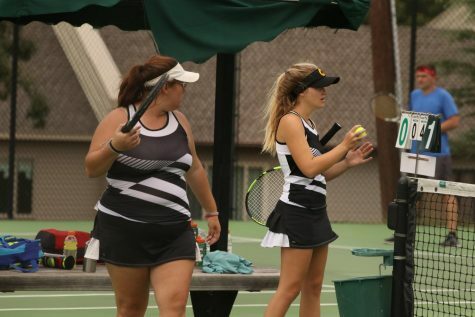 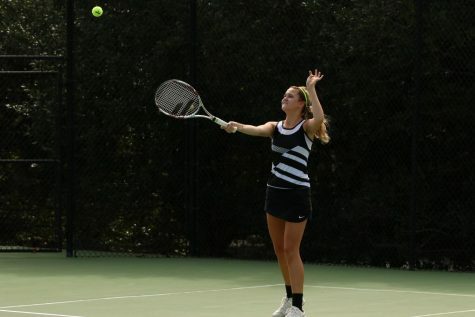 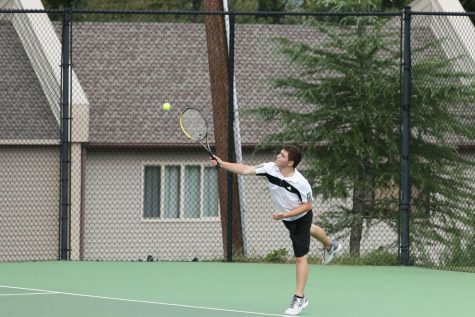 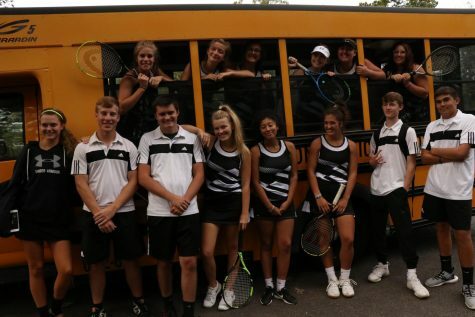 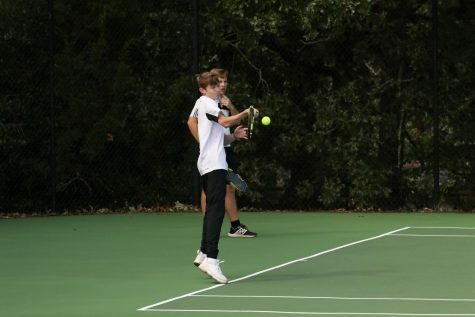 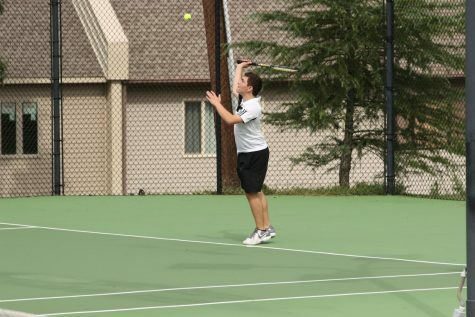 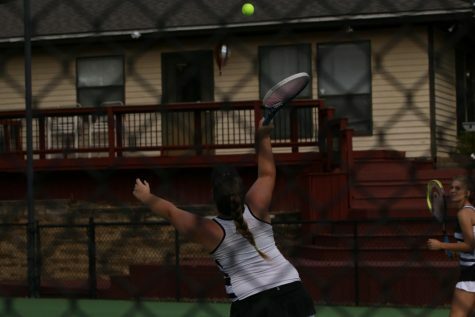 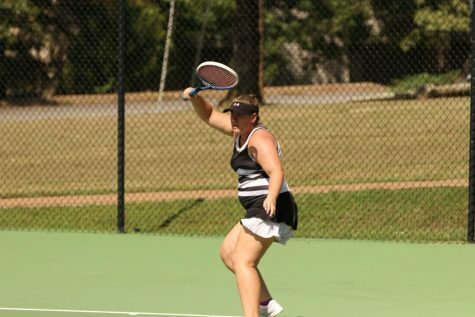 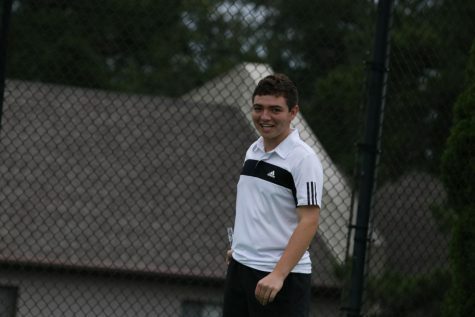 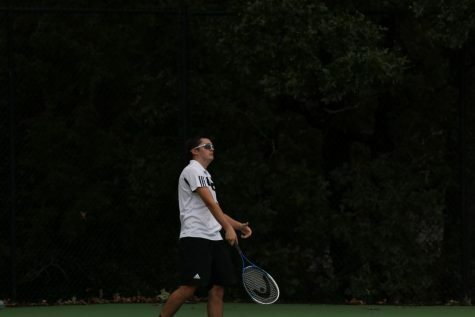 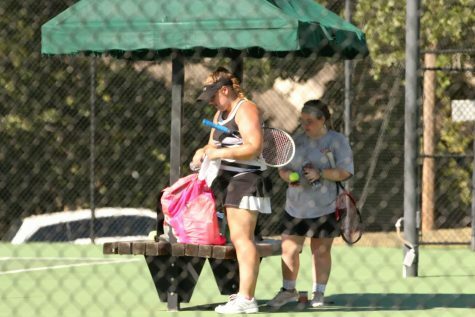 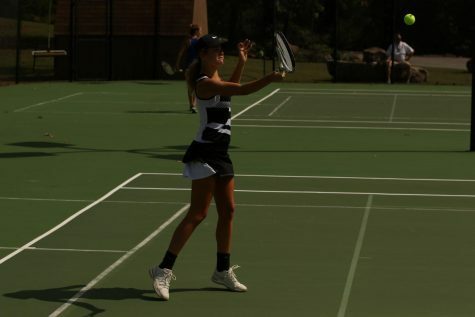 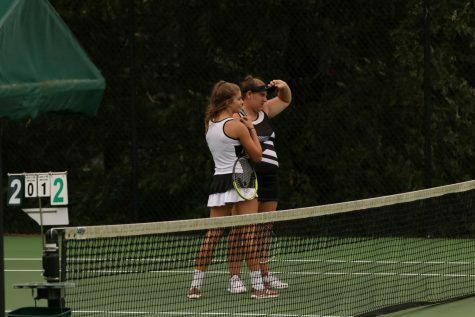 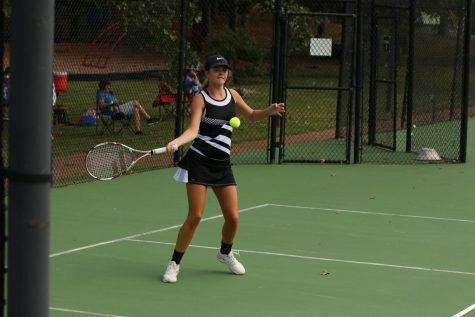 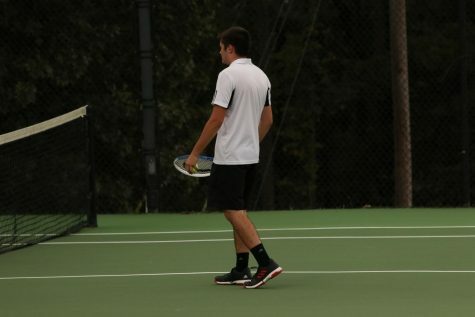 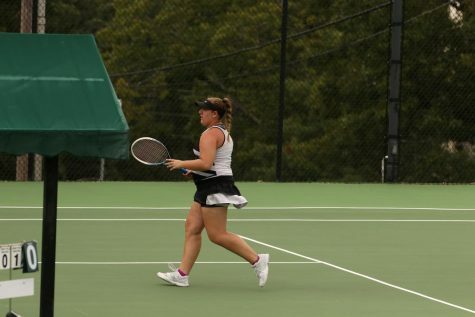 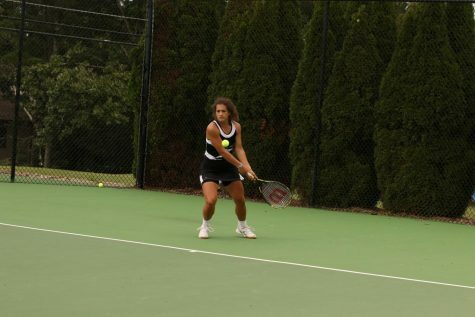 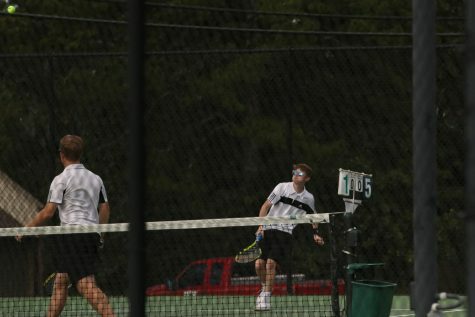 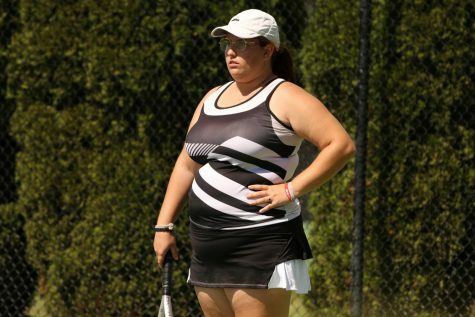 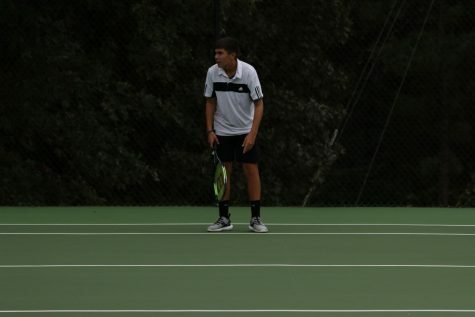 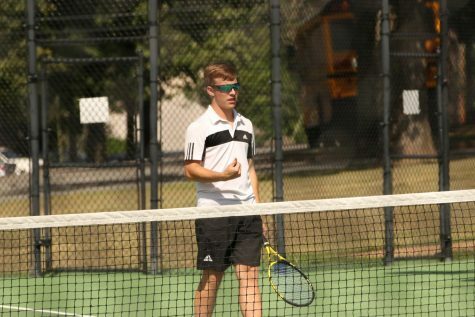 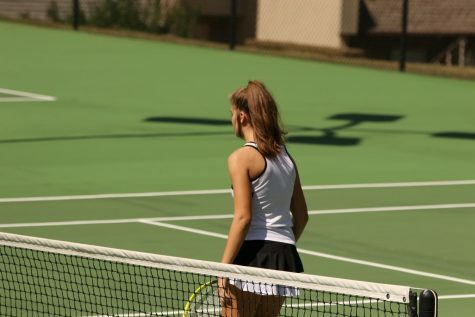 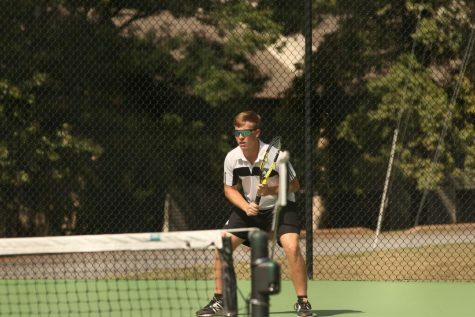 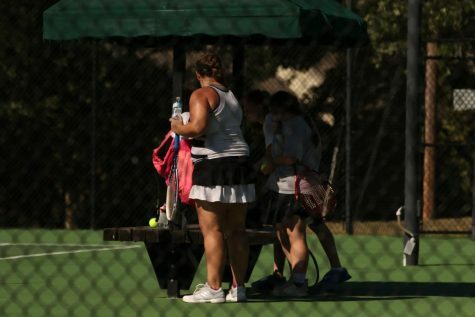 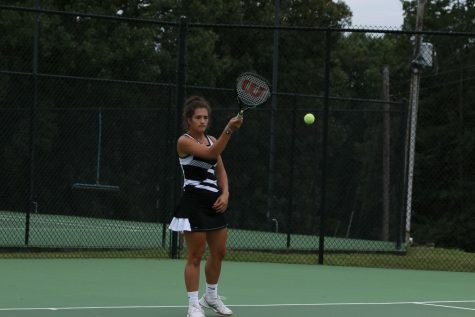 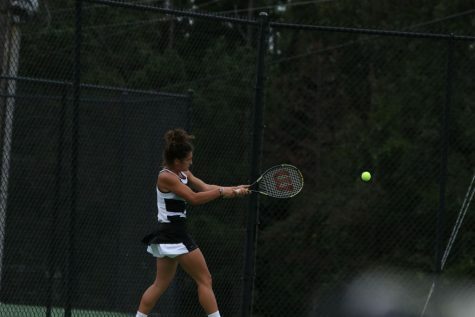 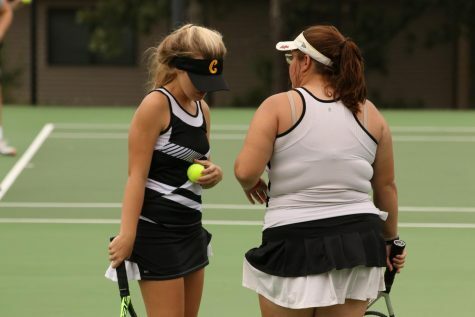 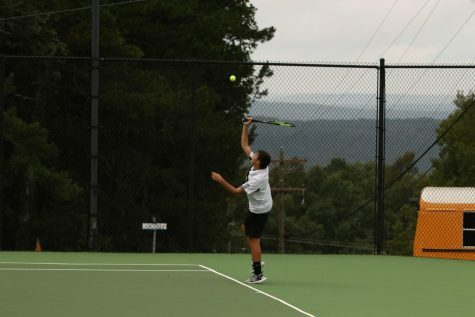 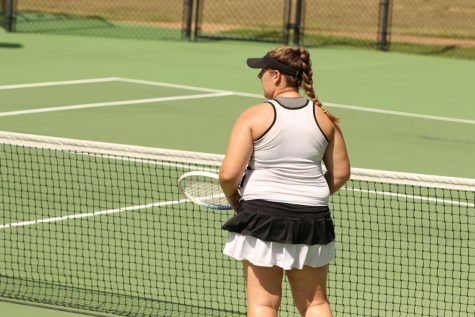 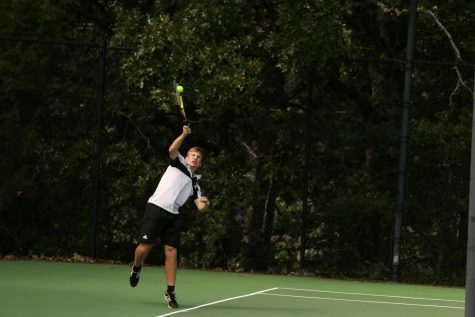 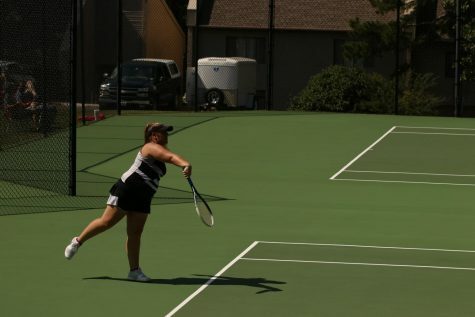 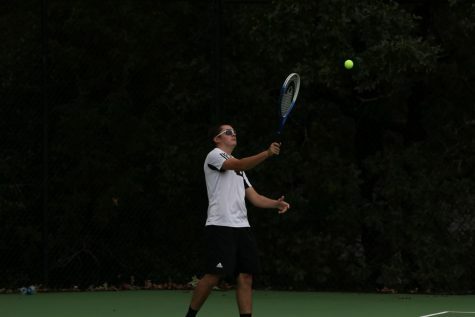 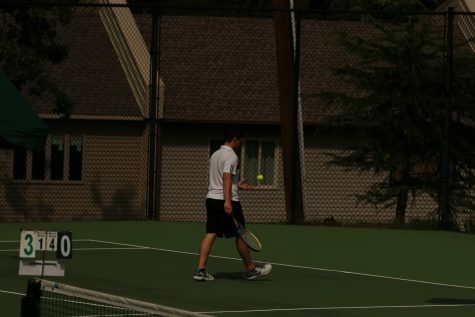 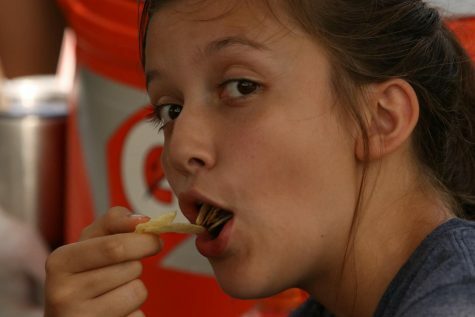 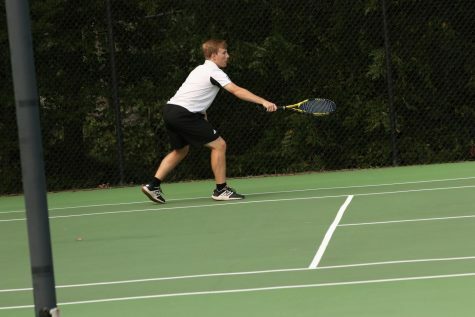 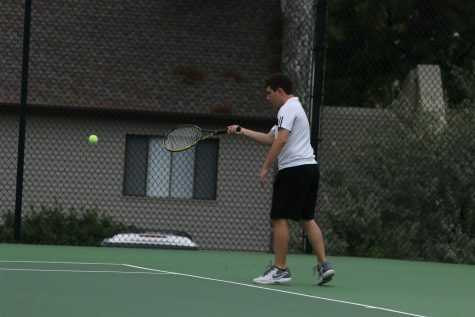 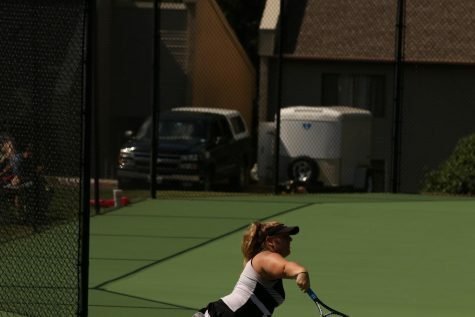 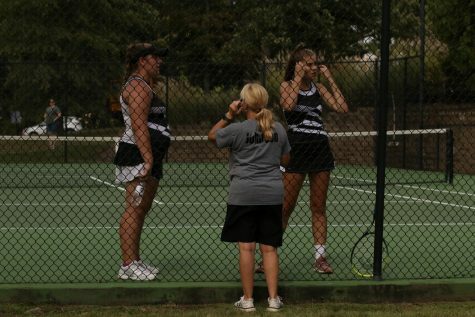 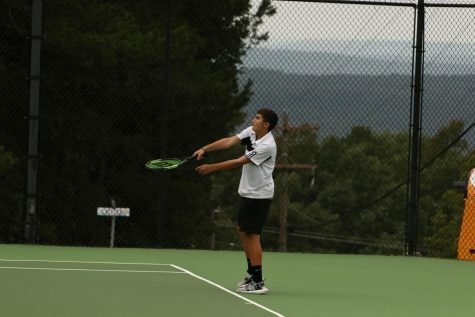 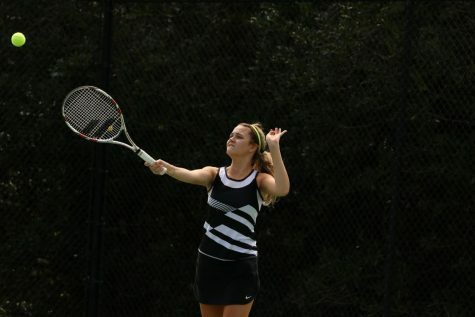 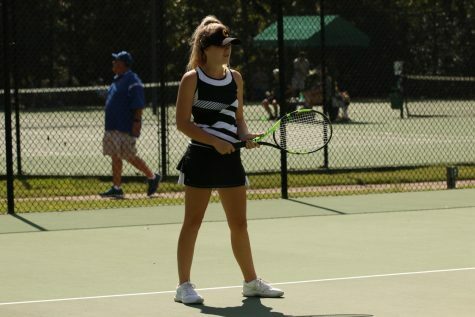 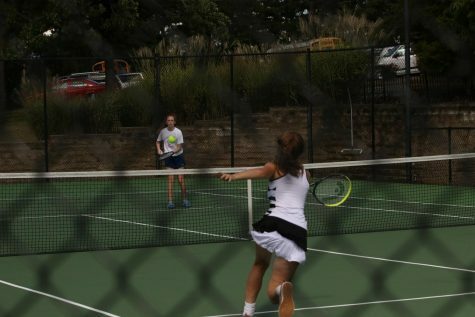 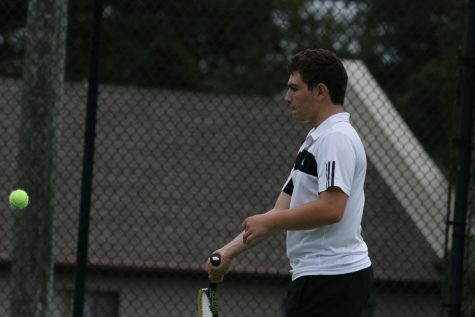 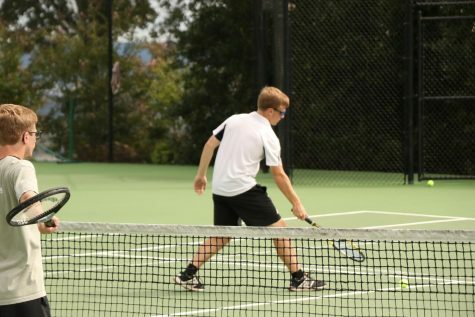 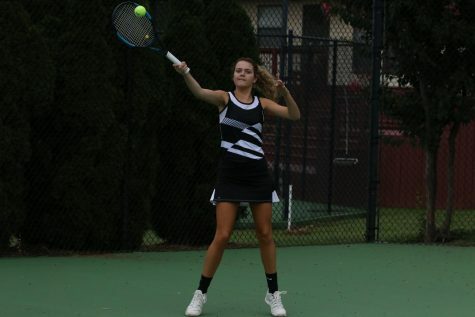 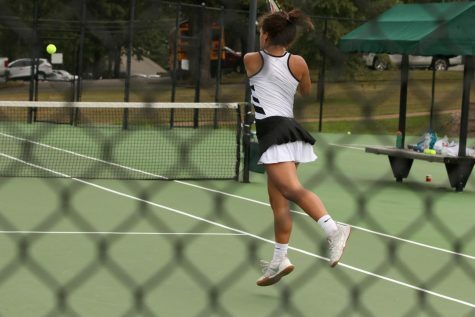 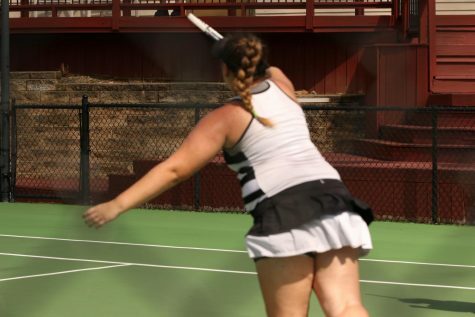 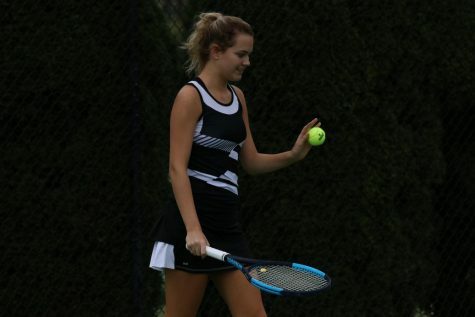 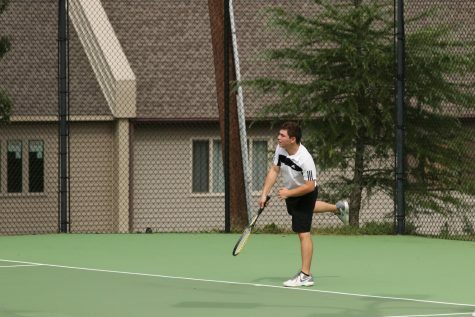 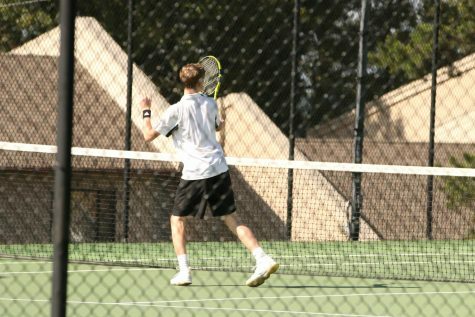 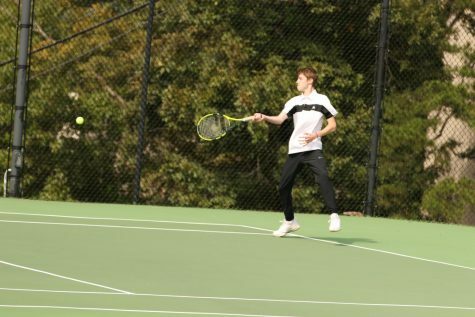 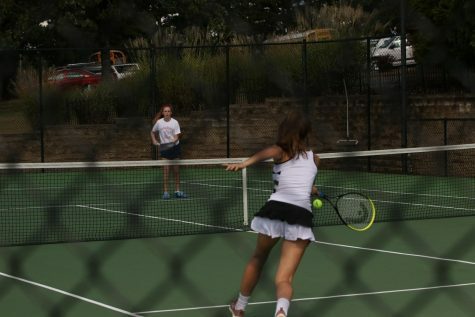 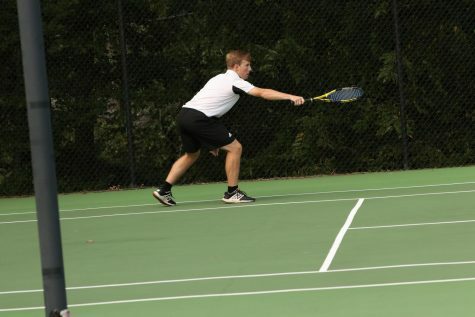 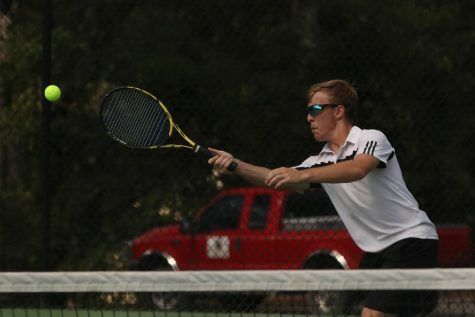 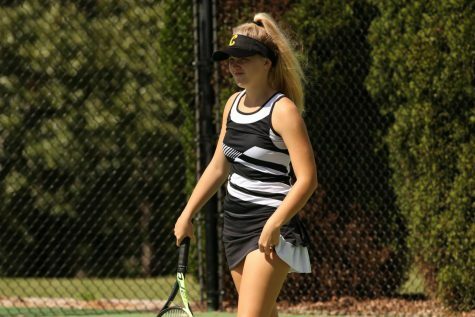 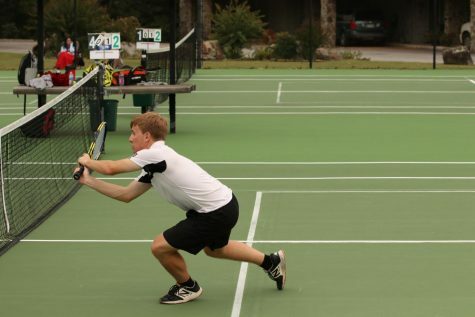 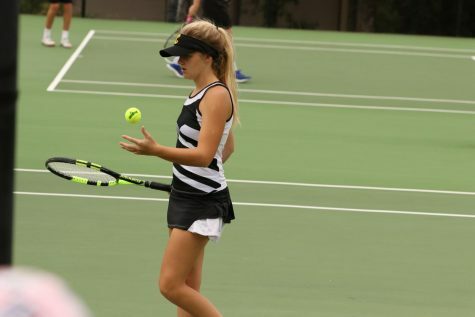 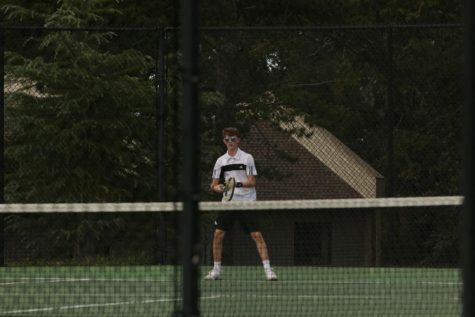 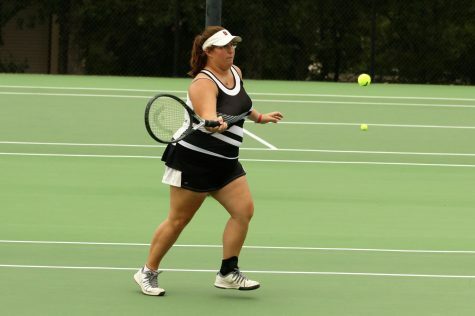 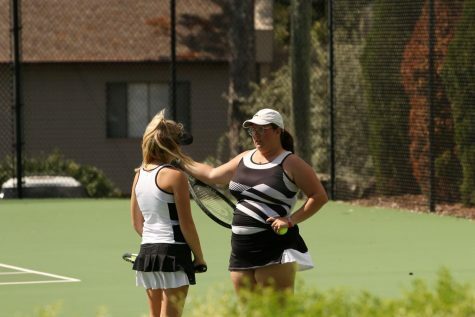 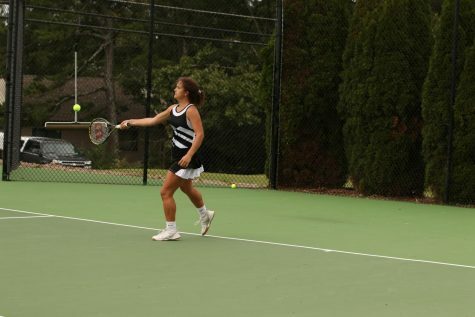 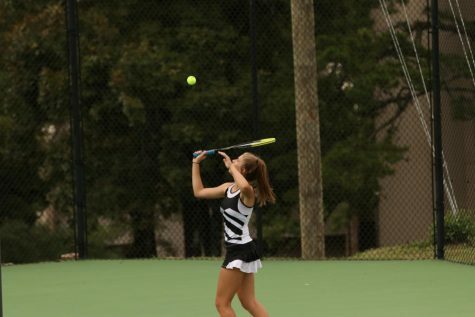 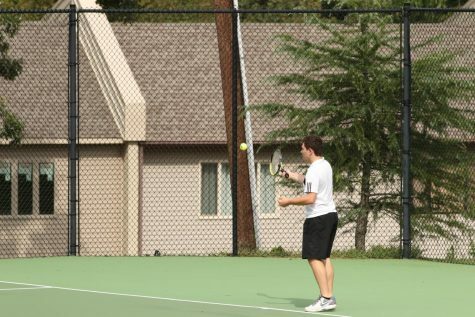 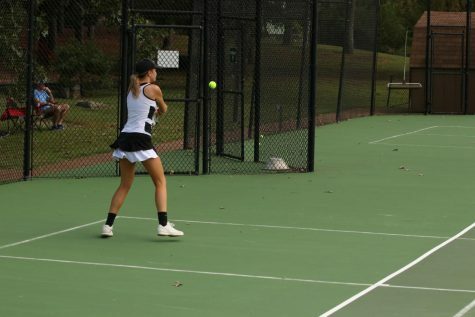 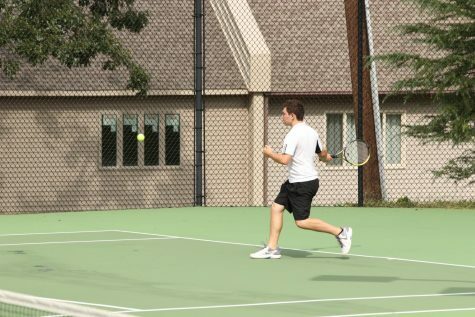 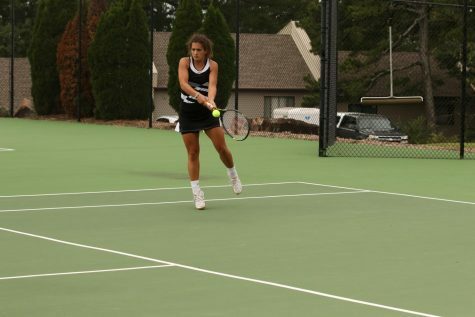 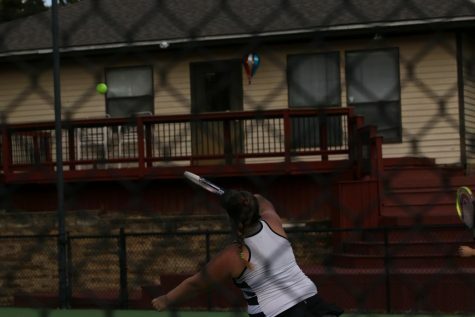 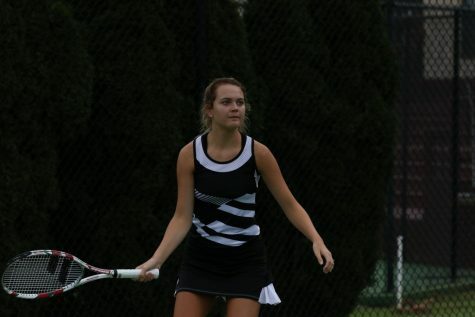 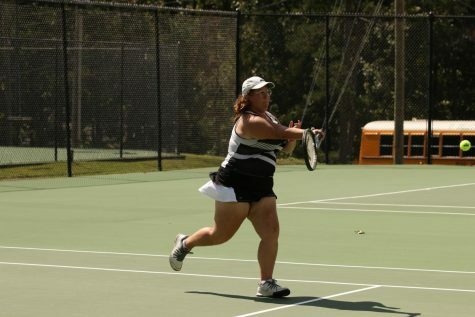 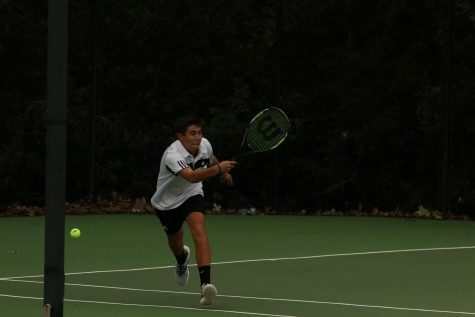 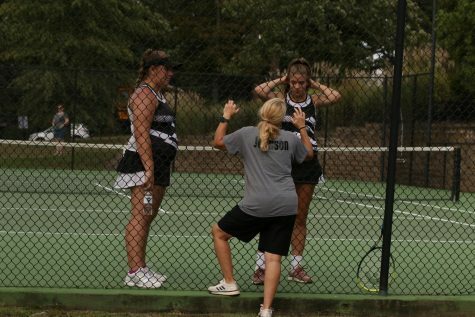 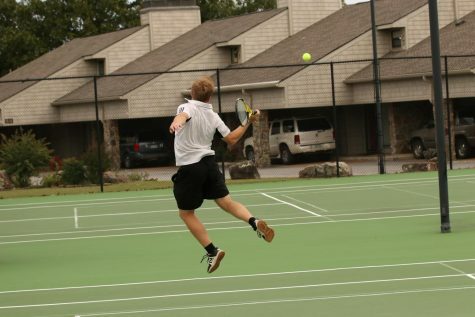 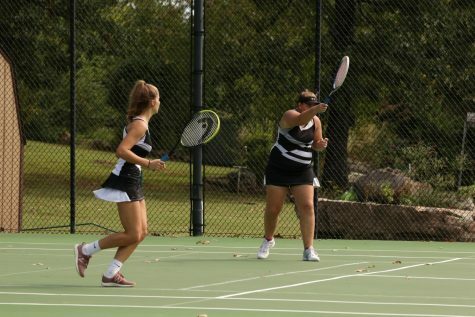 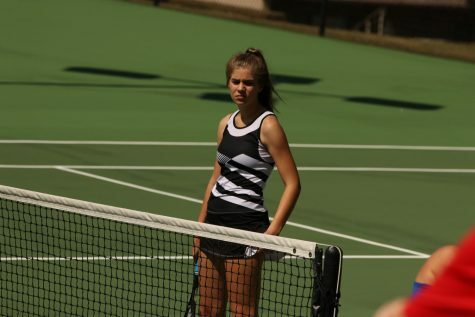 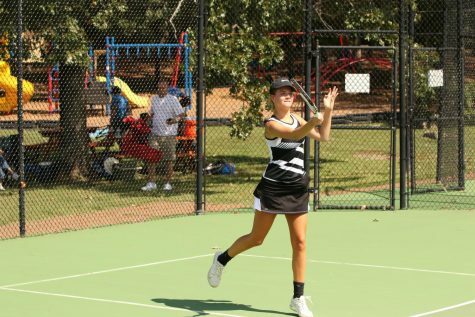 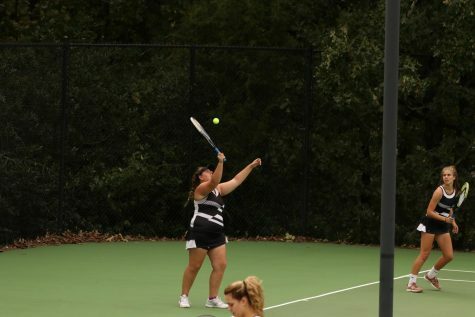 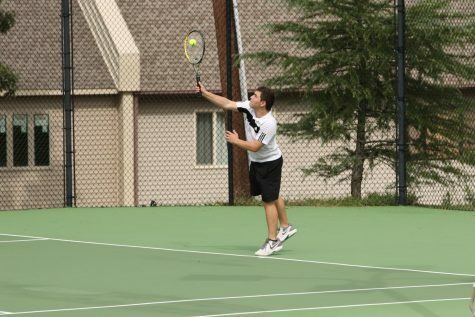 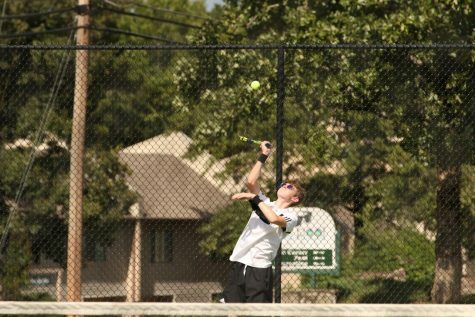 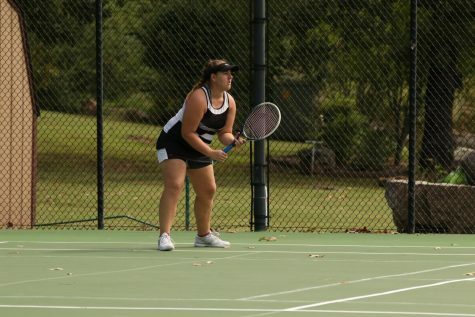 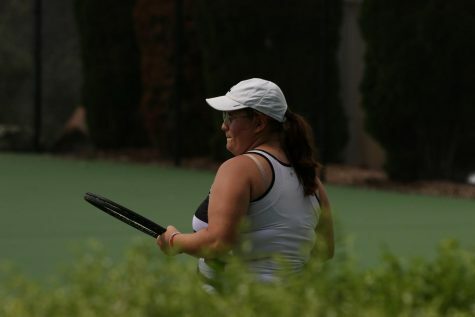 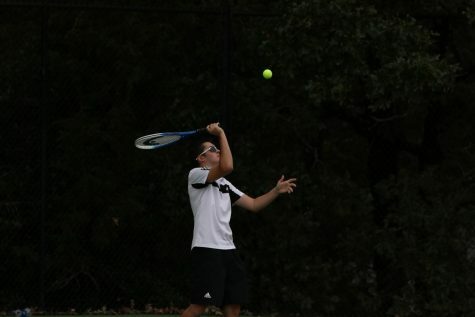 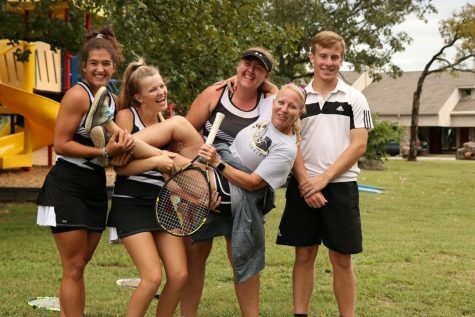 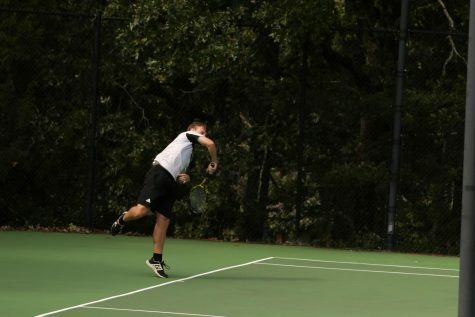 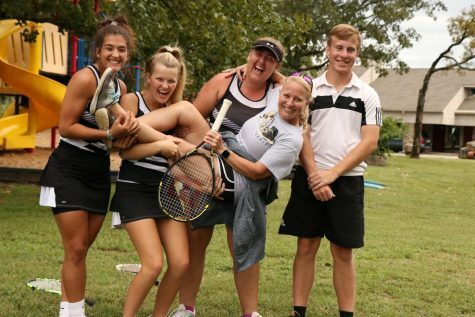 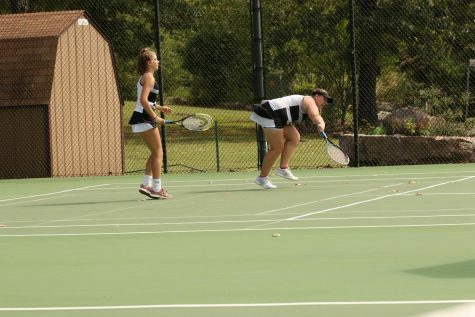 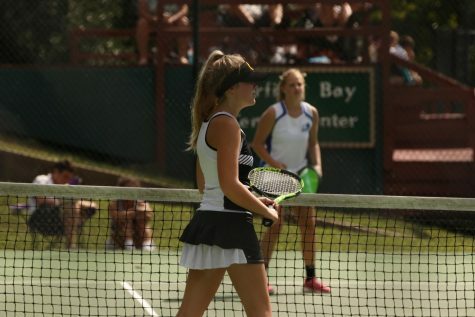 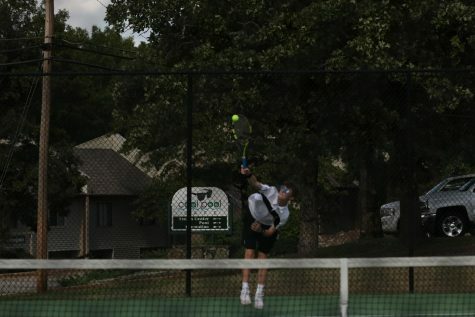 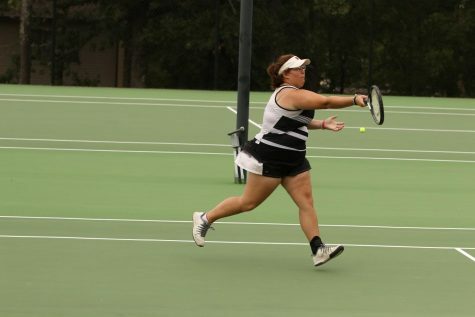 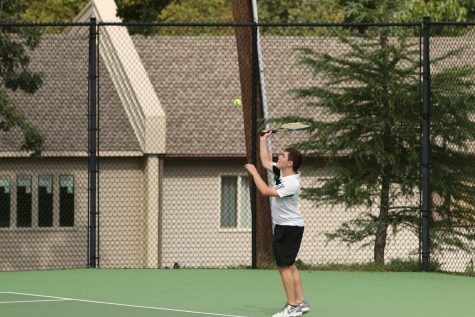 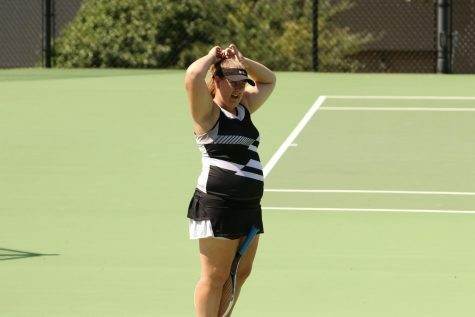 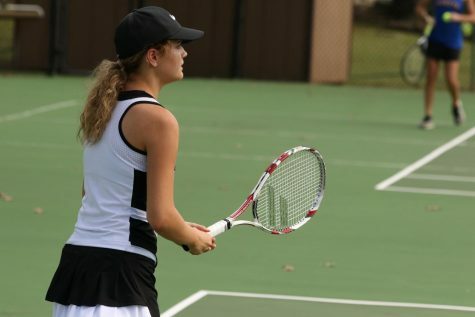 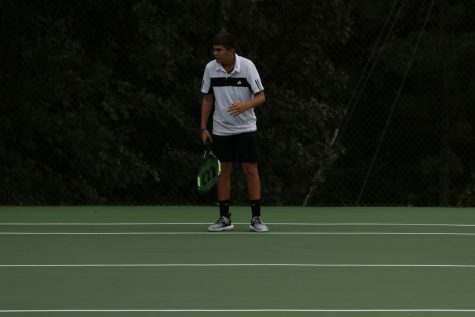 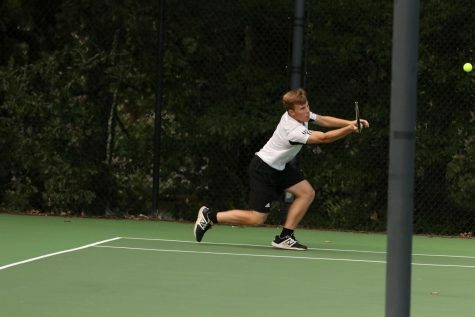 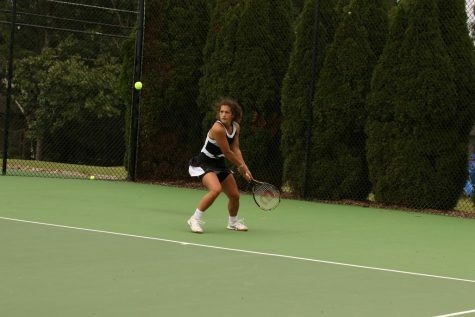 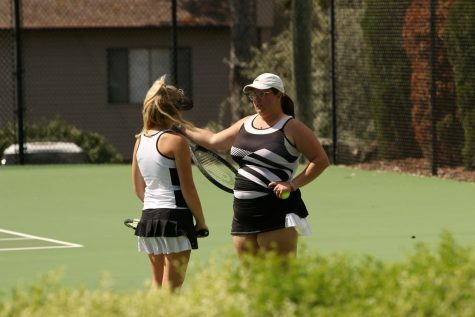 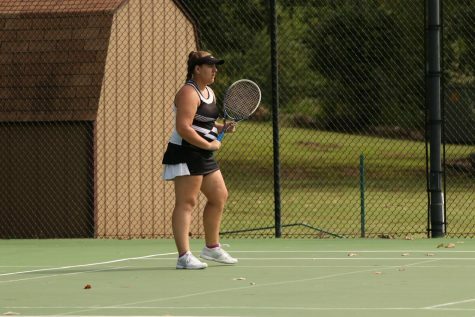 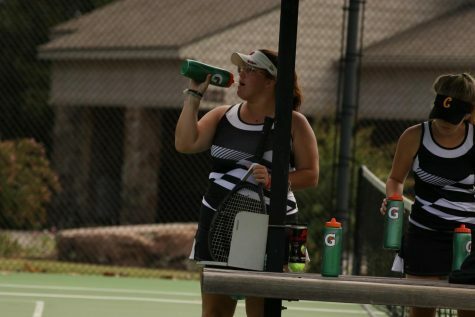 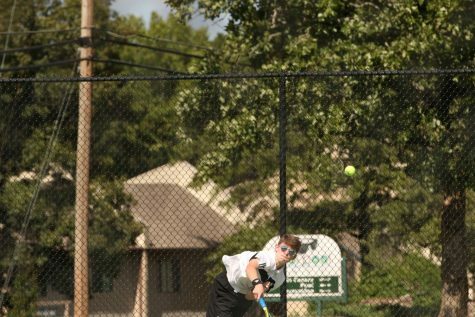 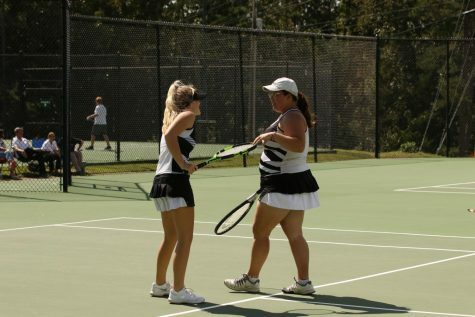 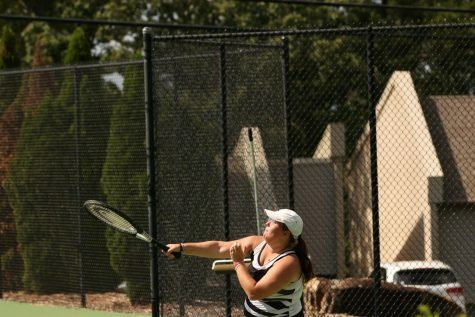 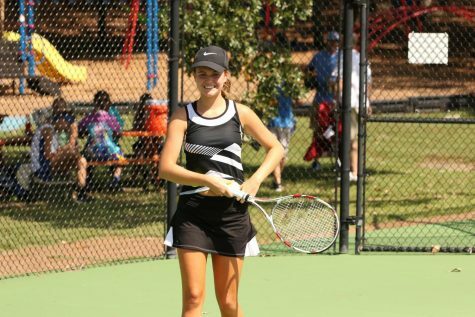 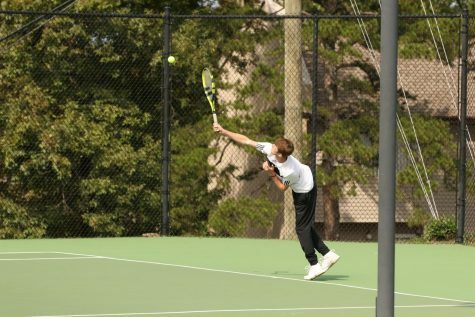 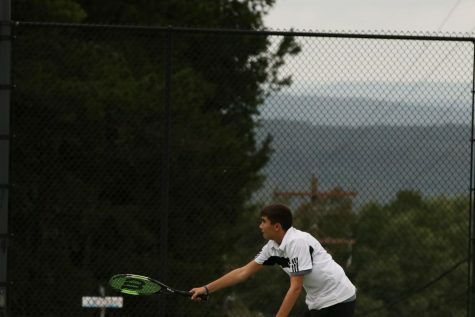 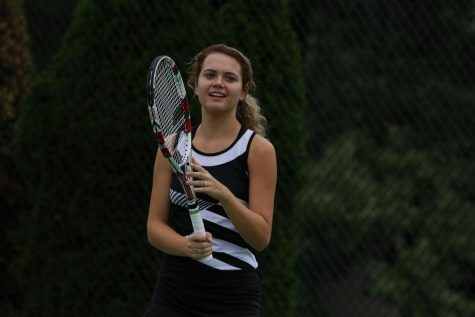 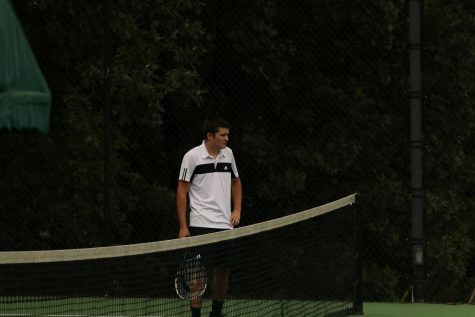 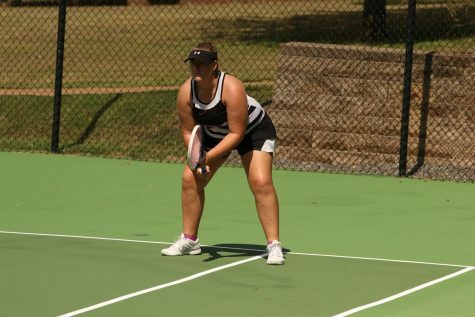 The Tennis District Tournament was held Sept. 25-26 at the Fairfield Bay Tennis Courts. 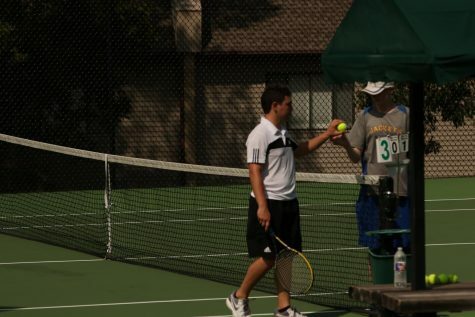 Clinton came into the tournament ranked high in the seeding. 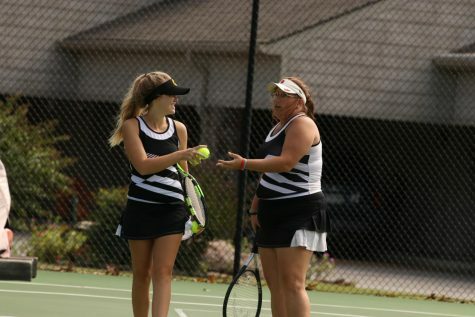 Clinton girls were overall District Tournament Champions. 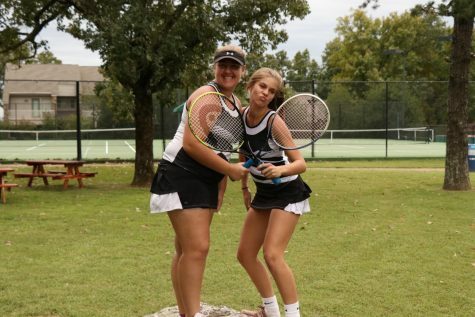 Emily Hogue and Hallie Treece finished second in girls doubles. 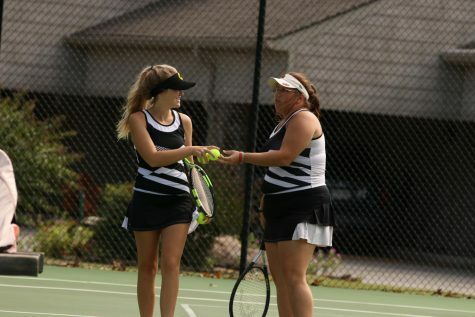 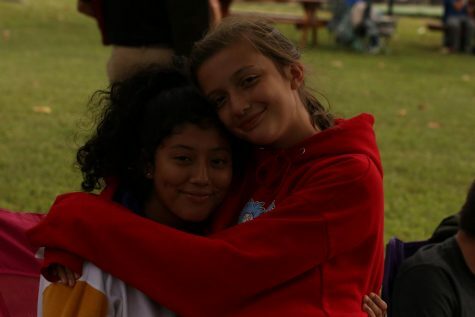 Hope Sykes and Sophina Cabana finished 3rd in girls doubles. 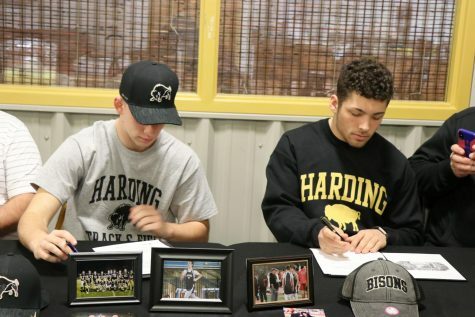 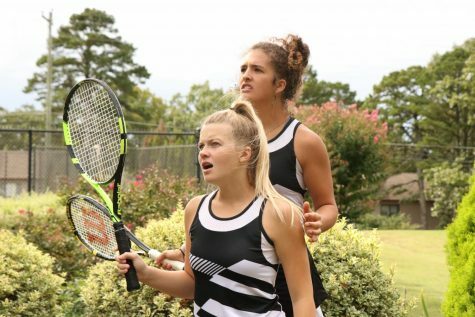 Sykes and Cabana came into the tournament as a 6 seed and knocked off 3 seed Harding Academy in their first match to advance to semis, later beating Mt. 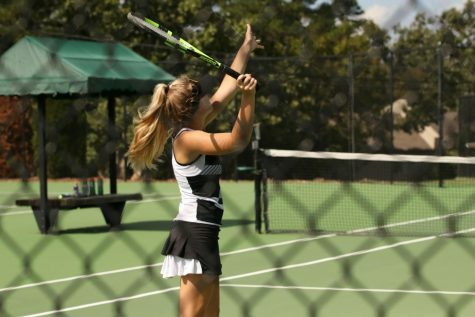 View for 3rd place and advancement to state. 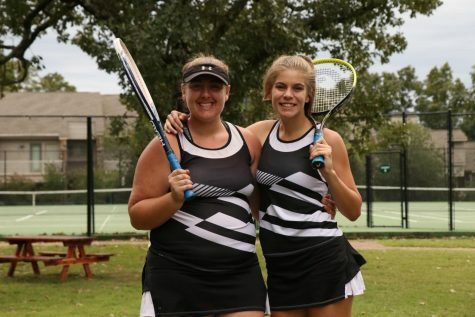 Hogue and Treece won big in their first match, advanced in the semis and fought hard against Bergman falling short but scoring the runner up position in girl’s doubles and advancing to state. 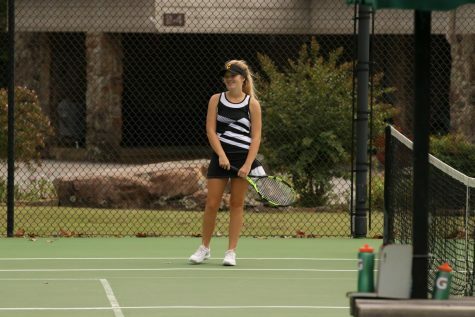 Emma Coward finished 4th in girls singles playing a tough last match going 3 long sets. 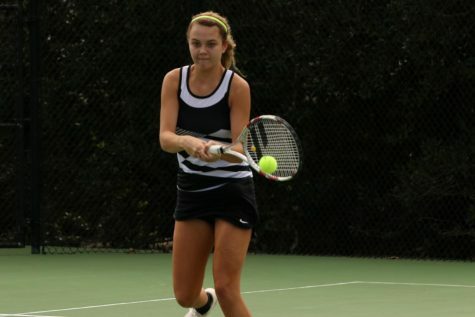 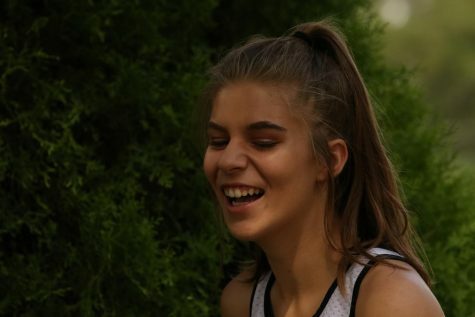 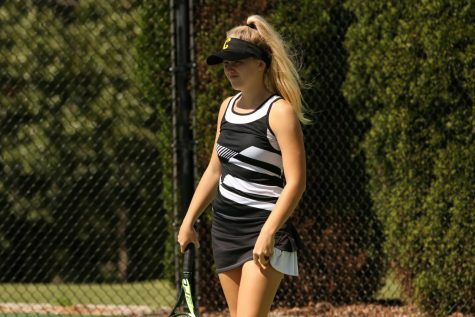 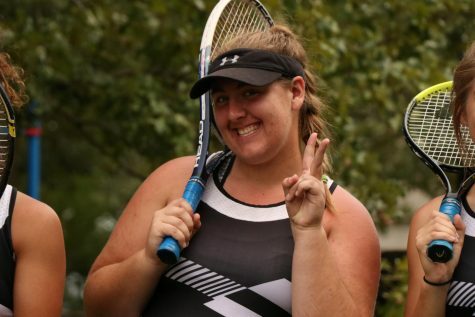 Summer Davidson won overall district champion and girls singles champion. 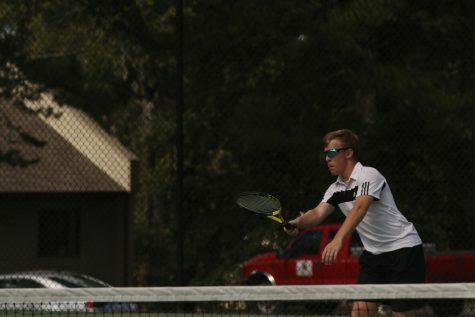 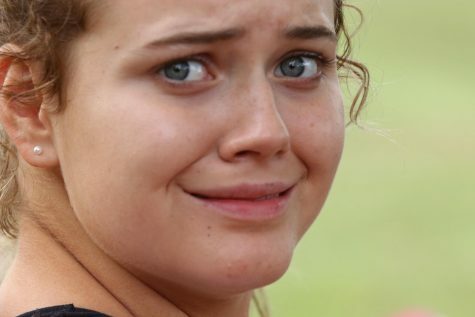 Davidson played 7 sets during the tournament only losing 1 with an overall finish of 6 sets to 1. 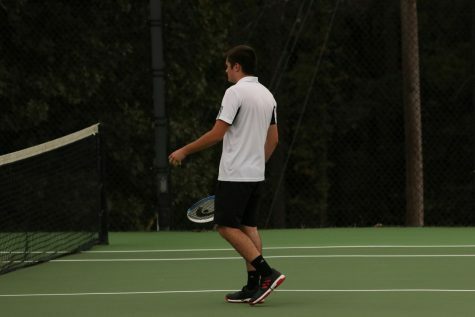 This was the first set of the season Davidson has lost in conference play. 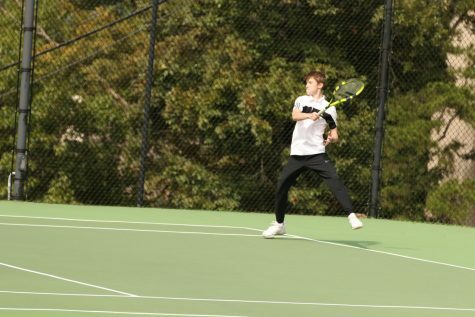 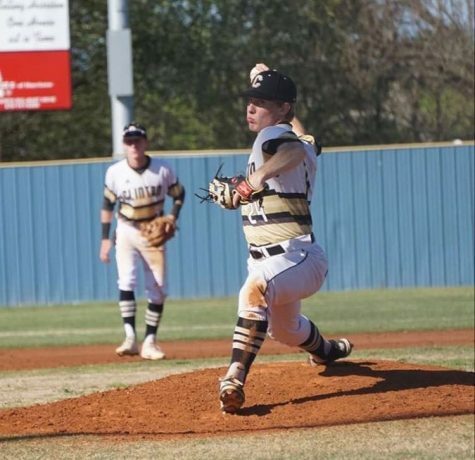 Davidson said, “It felt good to see our team do well in District after competing in a tough conference, and a lot of hard work. 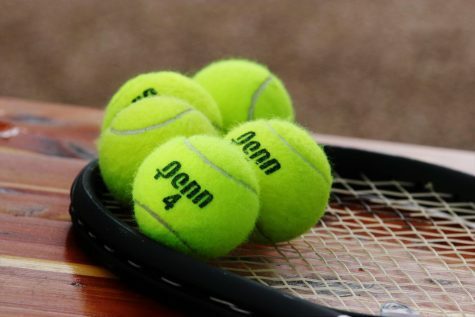 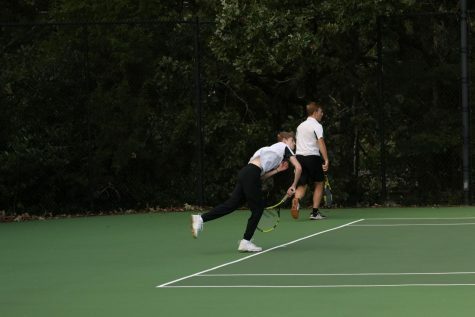 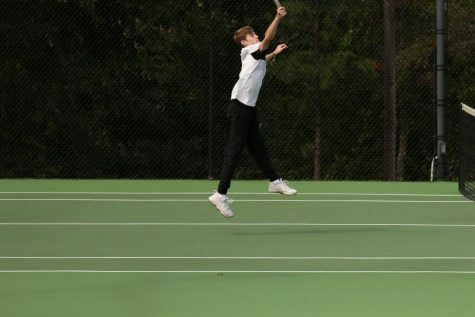 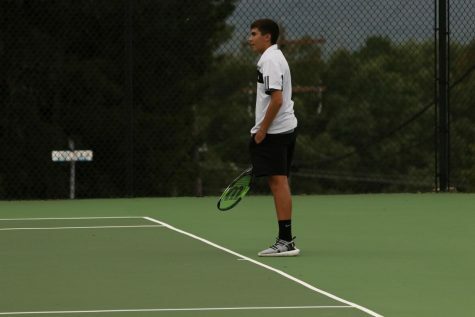 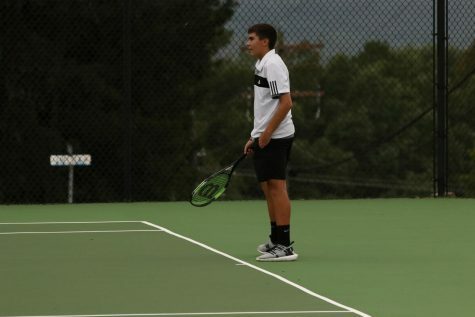 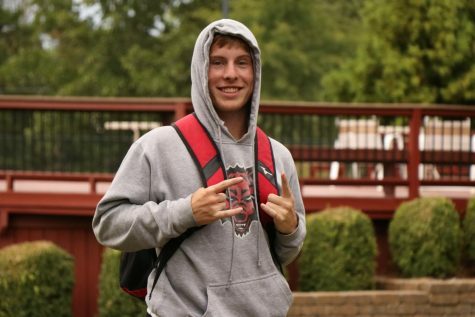 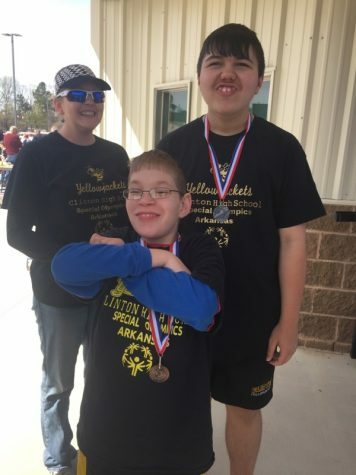 I expect to see several tough players in state so I plan on going in there and trying my best to play every point out until the end.” Reid Hensley and Aaron Hogue finished 3rd in district boys doubles. 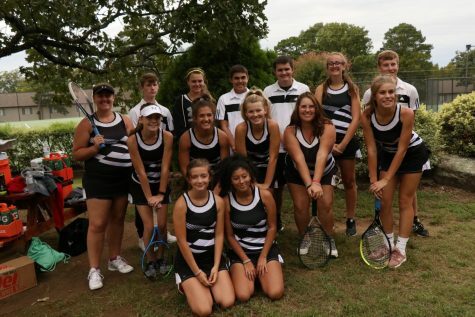 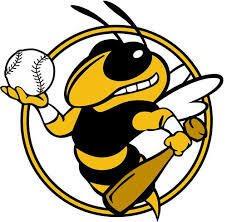 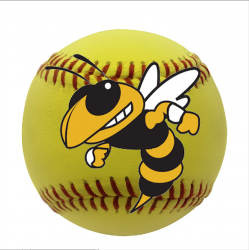 Cabana, Coward, Davidson, E. Hogue, Sykes, Treece, A. Hogue and Hensley earned All Conference honors.